A 24-hour reception, Wi-Fi, and bright rooms await you at this hotel in Frankfurt. The main train station is a 4-minute walk away. All of the Hotel Elbe's rooms have cable TV, safety deposit box and a mini refrigerator. All rooms have a private bathroom. Wi-Fi is available for free. A large breakfast buffet is served each morning at the Hotel Elbe. In the evenings, a variety of drinks are available at the hotel bar. Fax and photocopy services are provided here. The Hotel Elbe is a 15-minute walk or 5-minute tram ride from the Messe (exhibition centre). Sights including the Römer square are also within easy reach. 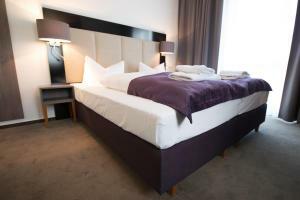 Just a 3-minute walk from Frankfurt Train Station, this hotel offers modern rooms with Wi-Fi hotspot, daily breakfast buffets, and fast connections to the Frankfurt Messe exhibition centre. Located in Frankfurt's red light district, Hotel Tabitha has brightly decorated rooms with a TV, telephone, and private bathroom. In the evenings, guests are welcome to relax with a drink in the Tabitha’s bar. Guests staying at the Tabitha can easily explore the attractions of Frankfurt. The Messe exhibition centre and Zeil shopping street can be reached within 10 minutes by public transport. S-Bahn (city rail) trains run from Frankfurt Train Station to Frankfurt Airport in 12 minutes. 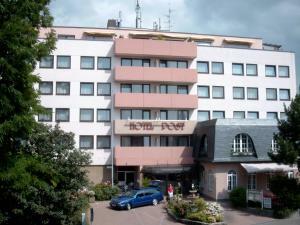 This hotel is 300 metres from Frankfurt's main train station and 1 km from the Zeil shopping area. A full breakfast buffet is available each morning. The Hotel ABA's rooms have cable TV, WiFi internet access via hotspot (for a fee) and a bathroom with large shower. The reception desk at the Hotel ABA is open 24 hours, allowing easy check in and check out. The Frankfurt Messe exhibition centre is just 1 km away and can be reached directly by underground or tram from the main train station. This hotel is just 200 metres from Frankfurt Central Station and 900 metres from the Frankfurt Messe Trade Fair. It offers a 24-hour reception and private parking is available. All rooms at Hotel Rossija feature cable TV, Wi-Fi internet and a work desk. Each room has a private bathroom. A breakfast buffet is available each morning at Hotel Rossija. There are many bars and restaurants nearby. The nearby Hauptbahnhof (Frankfurt Main Station) offers excellent public transport connections to all parts of Frankfurt. The direct train to Frankfurt International Airport takes 15 minutes. This attractive, non-smoking 3-star hotel offers modern accommodation in Frankfurt’s city centre, just a short walk from the nearest U-Bahn (underground) station, Eschenheimer Tor, and all the major sights. 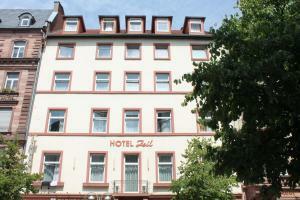 This hotel enjoys a central location in Frankfurt am Main, 100 metres from Hauptwache Station. It offers a daily buffet breakfast and free Wi-Fi in the whole hotel. 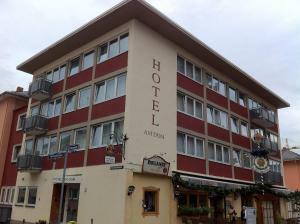 All rooms at the Hotel Zentrum an der Hauptwache feature satellite TV, soundproofed windows and a private bathroom. The Hotel Zentrum Hauptwache is a short walk from the Zeil shopping street, the stock exchange and Frankfurt’s banking district. The Hotel Hauptwache is 5 minutes by S-Bahn (city train) from Frankfurt Main Station, 7 minutes from the Frankfurter Messe Exhibition Centre and 15 minutes from Frankfurt Airport. This 3-star hotel is a 2-minute walk from Frankfurt Main Station and a 5-minute tram ride from the Frankfurt Trade Fair. It offers free Wi-Fi, modern design and a stylish lounge area and snack bar. 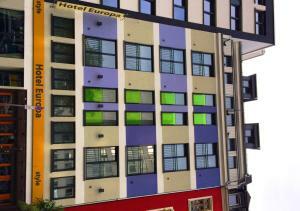 Each floor at Colour Hotel Frankfurt is individually decorated in yellow, red, orange or blue. Rooms are simply furnished and include satellite TV and a desk. Drinks, snacks and a daily buffet breakfast are served in the Colour Lounge, which features comfortable sofas and a flat-screen TV. Free internet terminals can be found in the lobby. Colour Hotel is a 15-minute walk from the Frankfurt Trade Fair and the Goethe House. Frankfurt Airport is 15 minutes away by car or train. This 3-star hotel is located in the centre of Frankfurt am Main, just 200 metres from Frankfurt Central Station. City Hotel West offers free Wi-Fi throughout the hotel. City Hotel West is a modern hotel which was newly opened in 2006. All rooms are decorated in warm colours, and feature cable TV and a private bathroom. The rich breakfast buffet is provided each morning between 07:00 and 10:00. City Hotel West provides excellent transport connections from Frankfurt's Hauptbahnhof (Main Station). Frankfurt Airport is 15 minutes away by train, and the Frankfurt Trade Fair is just 2 underground stops or a 10-minute walk away. Frankfurt’s banking district and main shopping streets are also within a 10-minute walk of City Hotel West. This 3-star hotel is situated in a convenient location, close to the Frankfurt exhibition centre and university. Star Hotel is popular with business guests and trade fair visitors, as well as leisure travellers on a city break to Frankfurt. As well as the continental breakfast offered at the Star Hotel, a Chinese breakfast option can be organised upon advance request. Tram connections as well as the nearby Frankfurt-West train station means that you can quickly and easily get to all tourist attractions, shopping streets and entertainment areas in and around Frankfurt. The Star Hotel can be easily reached from Frankfurt Airport by public transport or by road. The nearest motorway exit is only 1 km away. Occupying a 100-year-old villa, this 3-star hotel enjoys a quiet location in Frankfurt’s elegant Westend district, just a 10-minute walk from the exhibition grounds, financial district, and Alte Oper opera house. Inspired by the colours and lifestyle of Tuscany, the privately run Hotel Villa Florentina offers spacious, en-suite rooms with attractive desks and free Wi-Fi. Some rooms feature a balcony. The charming garden and the breakfast room with its well-stocked library create a truly relaxing ambience. The Villa Florentina’s proximity to the main railway station means that you can easily reach highlights such as the Zeil shopping street, Palmengarten park, and Römer square. The nearby S-Bahn (city rail) connections quickly carry you to the international airport and business opportunities throughout the Rhine-Main region. The Ritter Hotel offers spacious rooms with original, historic features, as well as satellite TV. Each includes a private bathroom. The hotel's cellar bar offers a wide range of drinks, including a large selection of fine wines. Hotel Columbus enjoys a convenient location in the heart of Frankfurt, a short walk from Frankfurt’s main railway station. 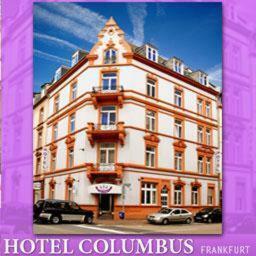 The Hotel Columbus provides ideal accommodation for anyone on a city break to Frankfurt, or business travellers. The hotel is just a 10-minute walk from the Frankfurt Messe (trade fair centre) and a 15-minute walk from the city centre, shopping streets, cultural attractions and the main banking and financial district. The Hotel Columbus also offers excellent public transport connections to take you to all parts of Frankfurt within minutes. Frankfurt Airport is just a 15-minute train shuttle away. All rooms feature satellite and pay-per-view TV, telephone, broadband and wireless Internet access, as well as a writing desk, to ensure that you can get on with your work in comfort. Wake up in the morning to a delicious buffet breakfast. After an eventful day’s work, relax and enjoy a drink with friends and associates at the hotel bar. 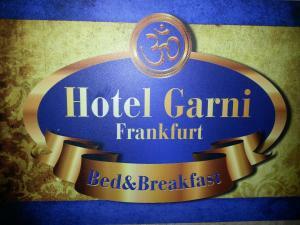 This hotel offers comfortable accommodation in Frankfurt am Main. It lies around a 10-minute walk from both the main train station and exhibition grounds. Look forward to comfortably furnished rooms at Mini Everest hotel, all well-equipped with cable TV. They are located in the building next door to Hotel Everest. Wake up to a complimentary breakfast buffet each morning, served in the breakfast room of the Hotel Everest, before setting out to explore the city or attend a trade fair. Reception is located in Hotel Everest and is staffed 24-hours a day. In the evening, relax with a pre-dinner drink in the Everest's cosy bar and lounge before enjoying dinner at one of the nearby restaurants. Mini Everest is just 100 metres from the financial district and a short tram ride from the Old Town with its cathedral and Römerplatz square. Guests arriving by car will find limited parking spaces in the hotel's garage. This beautiful art hotel is a historic villa in an elegant residential area of Frankfurt, and is within easy walking distance of Frankfurt University and the trade fair centre. Built in 1905, the villa offers a stylish and historic ambience. All rooms in the Hotel Robert Mayer were individually designed by various Frankfurt artists. All rooms feature large wooden-frame windows, olive parquet flooring and classic furniture. Just a 10-minute walk from the Frankfurter Messe (exhibition grounds), the hotel is ideal for trade fair visitors and exhibitors. Business and leisure travellers alike will appreciate the nearby tram stop and underground railway station, taking you quickly and easily to all major tourist attractions, companies and banks in the centre of Frankfurt. From Frankfurt's main train station, take the S3 (in the direction of Bad Soden), S4 (in the direction of Kronberg) or S5 (in the direction of Friedrichsdorf) to Rödelheim station. The hotel is about a 15-minute walk from the station. You can also take take bus no. 916 towards Eschborn and exit at Friedrich Kahl Strasse. The hotel provides conference facilities for up to 50 people. 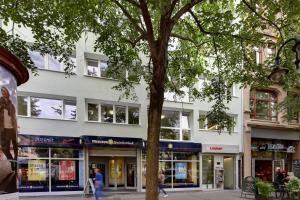 Set in a peaceful side street, this hotel in Frankfurt offers free Wi-Fi, free parking and excellent transport links. Frankfurt Trade Fair is just 2 km away. The Hotel Franken provides tastefully furnished en-suite rooms, all featuring a TV and telephone. A varied, freshly prepared breakfast is served each morning in the Franken’s elegant dining room. In good weather food can be enjoyed in the conservatory or on the outdoor terrace. Visitors can walk to the Galluswarte Train Station and several tram stops within about 10 minutes, offering connections to the financial district, Zeil shopping area and Römer Square. Packed lunches can be organised for day trips. Newspapers and fax facilities are also available at the Hotel Franken Frankfurt. The nearest motorway exit (Frankfurt-Westkreuz) is only 1.5 km away, so you can easily reach the hotel by car. From the airport it takes approximately 12 minutes by S-Bahn (city train) on either the S8 or S9 lines. These run to Hauptbahnhof (main railway station) every 15 minutes. From Frankfurt-Hahn airport, there are also regular shuttle buses taking you to Frankfurt's main station. These apartments offer premium comforts and an elegant ambience. Services can be tailored to meet your individual requirements. You can arrange a cleaning, Internet access, a shopping service, mobile phone rental, a chauffeur service or private yoga lessons. This 4-star hotel is a 1-minute walk from Frankfurt Main Station. Hotel National offers stylish interiors, an elegant restaurant and free WiFi in the entire property. Rooms at Hotel National Frankfurt feature classic wood and leather décor as well as warm carpet. All rooms include satellite TV, a minibar and a private bathroom. Breakfast and Italian dishes are served in San Domenico restaurant, which is richly decorated in gold colours and chandeliers. On-site parking is available at Hotel National. Frankfurt Airport is 15 minutes away by road or rail. Frankfurt Trade Fair is 2 underground stops or a 15-minute walk away. This hotel is situated in the centre of Frankfurt, only a few minutes from the exhibition centre as well as other attractions and a range of bars and restaurants. 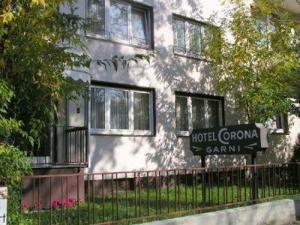 The Hotel Corona offers simple, cosy en suite rooms with wireless internet access. Start the day with the Corona’s varied tasty breakfast buffet. In the evening, explore the nearby surroundings where you will find restaurants and bars. Guests will find a direct tram connection to the train station right outside the hotel. The Relexa Hotel’s spa facilities include a Finnish Sauna, a steam room, a solarium and a quiet area. Active guests can enjoy a workout in the 7th floor fitness centre. The fitness bar offers a variety of rejuvenating drinks and features great views of the city. Rooms are available for groups, functions and business seminars. The Relexa Hotel has been certified by the Verband Deutsches Reisemanagement (Business Travel Association of Germany). Just 100 metres from the Zeil shopping street, this hotel in Frankfurt offers apartments with free Wi-Fi, free wellness facilities, and a terrace overlooking the Friedberger Anlage Gardens. The spacious apartments of the LiV'iN Hotel & Residence Seilerstraße feature a modern kitchenette and an iPod docking station. Guests can make free use of the LiV'iN Seilerstraße’s sauna and fitness room. Varied breakfasts are available at the LiV'iN Hotel, and Fleming's Snackbar serves various small snacks and drinks throughout the day. Clerical and translation services are available on request. Bread rolls and newspapers can also be delivered on request. The Frankfurt Stock Exchange and the Goethe House are only about 1 km from the LiV'iN. This hotel in Frankfurt offers air-conditioned rooms and private parking. The River Main and Westhafen harbour are a 5-minute walk away. The Hotel Lloyed has non-smoking, air-conditioned rooms with cable TV, functional desks, and private bathrooms. Free Wi-Fi is available in the lobby. A big breakfast buffet is available at the Lloyed every day. The Pforzheimer Straße tram stop is a 10-minute walk away from the Lloyed. It provides fast links to the city centre and Frankfurt Messe exhibition grounds. This 3-star hotel in central Frankfurt lies next to Frankfurt's zoo and opposite Zoo underground station. It offers a daily breakfast buffet. All rooms at the Hotel am Zoo come with satellite TV. They feature views of either the zoo or Frankfurt’s skyline. Wi-Fi internet is available throughout the building for an additional charge. The Hotel am Zoo's restaurant and bar are open 7 days a week. This 4-star hotel in central Frankfurt offers rooms with free internet via cable, a spa area, and great transport links. The Zeil shopping street is a 3-minute walk away. The Grand Hotel Dream Main City Center has air-conditioned rooms with a classic design, and satellite TV. The Grand Hotel Dream's wellness area includes a steam room and a modern sauna (for an extra fee). The restaurant of the Hotel Dream Main City Center serves snacks, gourmet meals, and fine desserts. The tram and underground connections of the Konstablerwache square are a 3-minute walk away. The Messe exhibition centre can be reached in 10 minutes. A historic villa dating back to the turn of the 20th century, this charming family-run hotel is located in the elegant Westend district of Frankfurt, close to the city centre. Run by an Italian family, the Hotel Liebig is furnished in a typically Mediterranean style with Italian furniture and design. Begin the day with a hearty breakfast, and enjoy a glass of wine in the evenings on the hotel’s garden terrace. The Hotel Liebig is within easy walking distance of the Palmengarten (park), Alte Oper (old opera house) and Frankfurter Messe (trade fair centre). The nearby public transport connections bring you quickly to easily to all major attractions in and around Frankfurt, including the banking district, shopping streets and museums. Guests can enjoy Wi-Fi internet access throughout the Hotel Liebig for an extra fee. The Crown Hotel offers a sauna and 2 spacious breakfast rooms. The breakfast rooms can also be used as conference rooms. This Fleming’s Hotel is just a 5-minute walk from Frankfurt Central Station and the Messe Frankfurt Trade Fair. It offers air-conditioned rooms, free Wi-Fi internet access and a large breakfast buffet. The stylish rooms at the Fleming’s Hotel Frankfurt Messe feature dark wood furniture and fine materials. They all include satellite TV and an elegant bathroom with glass walls. International food and fine wines are served in Fleming’s Brasserie. There is also a French-style delicatessen selling take-away meals and snacks. Guests are welcome to use the Fleming’s Frankfurt’s spa area, which include a Finnish sauna, a steam room and a gym. Frankfurt Central Station provides a train service to Frankfurt Airport in just 20 minutes. The Platz der Republik tram stop is right outside the hotel doors. Set in a quiet side street, right in the heart of Frankfurt, this hotel offers recently renovated accommodation, just a 2-minute walk from the nearest U-Bahn (underground) station. The modern, quiet rooms of the Hotel Mondial are comfortably furnished and feature wireless internet access (for an additional fee). They range in size from 18 to 30 square metres. The delicious breakfast buffet can provide a great start to a busy day of shopping, sight-seeing or attending trade fairs. Drivers will appreciate the free, on-site parking provided by the Mondial. You can reach the Zeil shopping boulevard and the picturesque Old Town on foot in approximately 10 minutes. Less than 5 minutes’ walk from Frankfurt Central Station, Roomers offers elegant rooms with free Wi-Fi. Guests have access to a modern, top-floor spa and an international restaurant. The Roomer’s stylish rooms feature dark wooden furniture and warm colour schemes. All include a marble bathroom and cable TV, while some have a Nintendo Wii games console. Overlooking Frankfurt’s skyline, the Roomers’s spa has a designer sauna, a spa tub and a well-equipped fitness area. Massages and cosmetic treatments can also be booked here. Gourment cuisine can be enjoyed in the sophisticated restaurant, while the trendy hotel bar offers free appetisers with each drink. In summer, drinks and meals are served on the terrace. Hotel Excelsior offers modern rooms with free minibar drinks and free Wi-Fi. It is just steps from Frankfurt Central Station, and a 5-minute underground ride from Frankfurt Trade Fair. All rooms at the Excelsior include satellite TV channels, soundproofed windows and daily newspapers. Guests enjoy free local telephone calls and the free minibar is refilled every day. American and Chinese breakfast buffets are served each morning in the Excelsior's large breakfast room. In the evenings, the hotel restaurant offers international food and fine wines. A free ironing service is available at the Excelsior Frankfurt. Reception is open 24 hours a day, and a free computer is available for guests to use. Trams, buses, underground trains and S-Bahn trains are within a 2-minute walk. Frankfurt Airport is a 15-minute train journey away. This 3-star apartment hotel offers spacious rooms with kitchenettes and on-site parking. 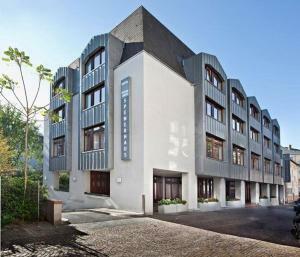 It is located in Frankfurt's Osthafen district, an 8-minute walk from Ostbahnhof underground station. The rooms of the Golden Leaf Hotel & Residence Frankfurt include coffee and tea-making facilities, a microwave, fridge, minibar and cable TV. Tea, coffee and fruits are provided in the lobby at no extra charge. A rich breakfast buffet is available each morning and the bar offers a range of drinks in the evening. The Golden Leaf lies 2 underground stops or a 10-minute tram ride from Frankfurt city centre. A tram stop is just around the corner, where tram 11 goes to the heart of the Old Town. This 4-star hotel in Frankfurt's green Harheim district offers free Wi-Fi, a daily breakfast, and free parking. The Frankfurt Trade Fair is 25 minutes away by car. The Hotel Harheimer Hof has spacious rooms with wood and marble furnishings. A big breakfast buffet is provided every morning. International food is served in the Harheimer Hof's restaurant. The Hotel Harheimer Hof is located opposite the Rathaus Harheim bus stop, served by bus number 28. This 4-star hotel offers free internet and a restaurant with summer garden. It is within a 10-minute walk of Frankfurt's main train station and trade fair. Each of the air-conditioned rooms at Hotel Savigny Frankfurt City includes satellite TV, a minibar and a safe. The private bathroom includes a hairdryer and bathrobes. Traditional German meals and a large selection of wines are available in the Savigny restaurant. Guests can relax in the lobby lounge or in the Goethe Garden. The Zeil shopping street and the old town are a 20-minute walk from the Hotel Savigny Frankfurt City. They can also be reached by public transport. Frankfurt Airport is a direct S-Bahn train ride away. This hotel in Frankfurt is just a 5-minute walk from the main train station. It offers free Wi-Fi via hotspot, daily breakfast buffets, and a private car park. All of the modern rooms at the Hotel Topas are non-smoking and include satellite TV, minibars, and work desks. The comfort rooms were renovated in 2014 and have a minibar and a brand new bathroom. The reception team of the Hotel Topas provides service 24 hours a day. The Frankfurt Messe exhibition centre is a 10-minute walk from the Topas. Different tram, underground, and city rail services are less than a 5-minute walk away. Just a 5-minute walk from the Zeil shopping street, this hotel in Frankfurt offers spacious apartments with free Wi-Fi, a modern sauna and fitness room, and French cuisine. The soundproofed apartments of the LiV'iN Residence Frankfurt-Bleichstraße include a fully equipped kitchenette and an iPod docking station. Breakfast is served at the Liv’iN Hotel each morning, and Fleming's Snackbar serves various small snacks and drinks. The Hessendenkmal tram stop is a 5-minute walk from the LiV’iN Hotel Bleichstraße. Frankfurt Train Station can be reached in 10 minutes by public transport. This 3-star hotel features rooms with free Wi-Fi internet, a modern wellness area and a daily breakfast buffet. It lies in Frankfurt's Rödelheim district, 10 kilometres from the city centre. Newly opened in 2010, the Hotel Rödelheimer Hof - Am Wasserturm offers modern rooms with air conditioning and satellite TV. Guests are welcome to relax with a snack or drink in the hotel's bistro and bar. Rödelheim S-Bahn train station is a 15-minute walk from the Rödelheimer Hof. It takes 9 minutes for the train to reach Frankfurt's main station from here. 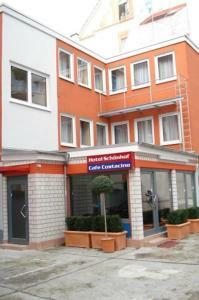 This hotel in the Sachsenhausen district provides stylish, soundproofed rooms with free Wi-Fi. Frankfurt Central Station, the Zeil shopping street and the old town are just 5 minutes away by S-Bahn train. The air-conditioned rooms at the Hotel Cult Frankfurt City include minibars and free Sky TV channels. All areas of the hotel are non-smoking. A large breakfast buffet is provided each morning. Guests can enjoy drinks in the Cult’s bar or outside on the terrace. Many lively bars and restaurants can be reached on foot. Guests can relax in the Cult Frankfurt City’s sauna for an additional fee and massages can also be booked. Bus number 46 runs directly to the hotel from Frankfurt Central Station. The Cult Frankfurt City is within a 3-minute walk of Mühlberg Train Station and Lokalbahnhof S-Bahn Station. This hotel offers modern rooms, free Wi-Fi internet in all areas and 24-hour reception. It lies 400 metres from Frankfurt Central Station and a 15-minute walk from Frankfurt Cathedral. All rooms at the Ambassador Hotel come with satellite TV and a private bathroom. A rich breakfast buffet is provided each morning. Guests can relax with a drink at the bar. Frankfurt’s exhibition grounds can be reached in about 15 minutes on foot from the Ambassador. 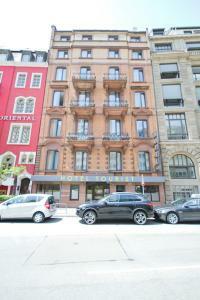 The Mosel Hotel in central Frankfurt is just a 2-minute walk away from the main train station. It offers non-smoking rooms, free Wi-Fi internet access, and varied breakfast buffets. 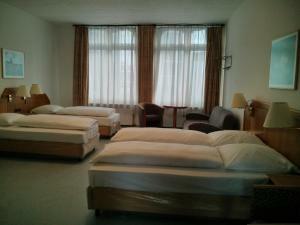 The brightly furnished rooms of the Mosel Hotel have private or shared bathrooms, and a TV. The Messe Frankfurt exhibition centre is only a 10-minute walk from the Mosel Hotel. Underground trains run from Frankfurt Main Station to Frankfurt Airport in 20 minutes. Public parking spaces are available near the Hotel Mosel. This small guest house in Frankfurt is quietly located beside the Enkheim Business Park. It offers a shared kitchen, and easy underground connections to Frankfurt city centre. The modern rooms at Pension Alex all include a work desk, a fan and heating. Some have a private balcony. Guests can prepare their own food in the Alex’s kitchen between 07:00 and 22:00. The Hessen-Center Shopping Mall is just one km away. 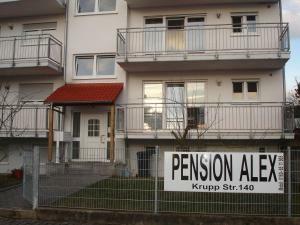 Kruppstraße Underground Station is 700 metres from the Alex Pension. Trains run to Frankfurt Central Station and the Frankfurt Messe Exhibition Centre in 20 minutes. This modern InterCityHotel offers free WiFi and free use of Frankfurt’s public transport. Frankfurt Airport’s main terminal is just 4 km away, and a shuttle service can be booked at the hotel. Dining options at the InterCityHotel Frankfurt include the Fluggi restaurant and the aeroplane-themed JU 52 pub. International cuisine, fine wines and German beers are served here. Decorated in warm colour schemes, all of the classically furnished rooms at the InterCityHotel Frankfurt Airport come equipped with cable TV, free Sky satellite channels and a modern bathroom. Leisure facilities at the InterCityHotel include a Finnish sauna and a well-equipped gym. The hotel enjoys good A3 and A5 motorway connections from the Frankfurter Kreuz motorway junction. A shuttle bus is available from or to Frankfurt Airport for an extra fee. This hotel offers air-conditioned rooms free Wi-Fi and a free fitness centre. It stands beside the historic Friedberger Warte tower, 1 minute from the A661 motorway and a 7-minute walk from underground trains. 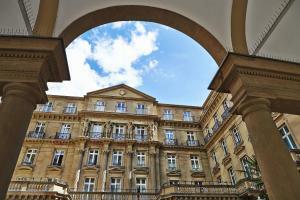 The 4-star Best Western Premier IB Hotel Friedberger Warte has rooms with cable TV, and a desk. All rooms have a private bathroom with hairdryer. International meals are served in the restaurant. The Hotel Friedberger Warte also has a bar and offers room service. The Gießener Straße underground station is a 7-minute walk from the Best Western Premier IB Hotel Friedberger Warte. Trains run directly to the Zeil shopping area and Frankfurt Central Station. 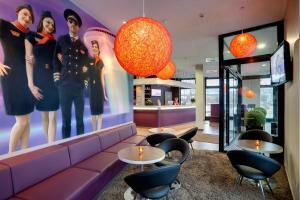 This Ibis hotel in central Frankfurt offers a 24-hour bar and free Wi-Fi in the lobby. 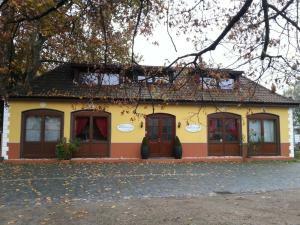 It is 100 metres from the River Main and 400 metres from Frankfurt Central Station. The Ibis Frankfurt Centrum offers rooms with a TV and a private bathroom. A freshly prepared breakfast buffet is available every morning in the breakfast room. The Frankfurt Centrum Ibis hotel offers drinks and snacks in its 24-hour bar. Frankfurt’s historic Römer square can be reached in a 20-minute walk along the River Main. The Frankfurt Trade Fair is also 20-minute walk from the Ibis Frankfurt Centrum. - Follow the A3 to the Frankfurt motorway intersection. - Take the exit at Frankfurt Süd and drive in the direction of the city centre (B43). - After the stadium, follow the signs to Sachsenhausen and turn right into Mörfelder Landstraße. - Turn left after the railway bridge into Oppenheimer Landstraße. The hotel is on the right hand side after 200 metres. - From Frankfurt Airport, follow signs along the B43 to the city centre of Frankfurt. - Then proceed as above. - Follow signs for Frankfurt Airport. - After the bridge over the Main River, keep left and then turn left into Oskar-Sommer-Straße at the 1st opportunity. - Then turn right at the 1st traffic lights into Oppenheimer Landstraße. The hotel is on the left hand side after the railway bridge. From Frankfurt Airport, take bus line number 61 from terminal 1 to Oppenheimer Landstraße. From Frankfurt Main Station, take the S3, S4 or tram line 16 to Frankfurt Süd (South station). From the South station, it is about a 10 minute walk to the hotel. Just 2 minutes from the A66 motorway and a direct underground ride from Frankfurt city centre, this traditional hotel offers free Wi-Fi and free parking. A daily breakfast buffet is available. Rooms at the Hotel Borger feature cable TV, a large desk and a bathroom with hairdryer. The beds are suitable for allergy sufferers. Guests can enjoy breakfast in Borger’s cosy breakfast room with wooden furniture. A terrace is available in warm weather. A 3-minute walk takes you to the Hessen-Center mall. Saunas and indoor/outdoor pools can be found at the Riedbad Bergen-Enkheim, a 10-minute walk away. Enkheim Underground Station is a 5-minute walk from the Borger hotel, connecting you to Frankfurt’s Old Town and Central Station in 20 minutes. This hotel is quietly located in the Westend district of Frankfurt, a 3-minute walk from the Frankfurter Messe Exhibition Centre. All rooms offer free Wi-Fi. On-site parking is available. All rooms at the Hotel Astoria include cable TV, a tea/coffee maker and a private bathroom with shower. The Festhalle/Messe Underground Station is 50 metres from the Astoria. This is one stop from Frankfurt Main Station and 3 direct stops from the city centre, financial district and Römer historic quarter. A breakfast buffet is provided at the Astoria Frankfurt. There is a free internet terminal in the lobby. The Astoria has a sauna and solarium. Guests enjoy free use of the Mainhatten fitness studio next door. The Hotel Astoria is a 5-minute drive from the A648 motorway and a 15-minute drive from Frankfurt Airport. This 4-star hotel is just a 5-minute walk from Frankfurt Central Station. It features a Lebanese restaurant, free Wi-Fi internet, and rooms with free tea/coffee facilities. All rooms at the RAMADA Frankfurt City Center & Financial District include satellite TV and a private bathroom. A hot and cold breakfast buffet is prepared each morning at the RAMADA Frankfurt City Centre. The L'Emir restaurant offers Lebanese cooking as well as a shisha lounge and belly-dancing shows on Fridays and Saturdays. Guests at the RAMADA enjoy free use of the business centre with free internet terminals. Public parking is available nearby for an additional charge. This modern hotel has a spa overlooking Frankfurt’s skyline, free WiFi access in all areas and air-conditioned rooms. It is a direct tram ride from Frankfurt Trade Fair and Frankfurt Central Station. 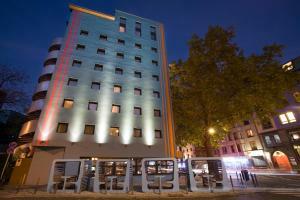 The Welcome Hotel Frankfurt offers rooms with a stylish design, flat-screen TV, iPod docking station and laptop safe. All have a private bathroom with hairdryer. Regional and international food is served in the restaurant and bistro. A terrace is available in warm weather. Welcome’s spa is located on the 7th floor. It features a traditional sauna, Finnish sauna and excellent spa showers. The hotel offers a private underground garage, and stands directly beside the A648 motorway. Rebstockbad Tram Stop is a 2-minute walk away. The hotel is named after the renowned evangelical reformist Philipp Jakob Spener (1635-1705). From 1666 to 1686 Spener was chief pastor here, and the city's most important clergyman. We offer our guests a complete infrastructure including seminar rooms, a congress hall and the latest in conference technology. In the neighbouring Dominican Abbey you find further function rooms, including a congress hall for up to 500 persons. This hotel is located in a quiet area in the heart of Frankfurt, a short walk from the city centre (1km), main train station (1km) and exhibition grounds (400 metres). Look forward to spacious, well-equipped rooms with free Wi-Fi and a cosy atmosphere at the Hotel Atrium. Most double rooms feature a modern bathroom with a bath. A complimentary, continental breakfast buffet is provided every morning in the bright breakfast room, which you can enjoy before visiting the nearby exhibition grounds, university, Palmengarten park or city centre. Frankfurt airport is just 15 kilometres away, and drivers will appreciate the free parking facilities nearby. 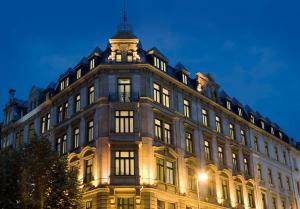 This 4-star hotel is located within a 100-year-old building beside Frankfurt Central Station. It offers free Wi-Fi, full American breakfasts, and soundproofed rooms with free minibar. All spacious, brightly decorated rooms at the Hotel Monopol Frankfurt feature satellite TV, a desk, and a private bathroom. The free minibar is restocked every day. International dishes and seasonal specialities are served in the Metropol’s restaurant. In the afternoons, guests can enjoy free coffee and cake in the lobby. Free calls to local landlines and free sewing services are offered by the Monopol Frankfurt. Guests can reserve the business facilities for up to 4 hours at no extra cost. The Messe Frankfurt Exhibition Centre is 1 km away from the Monopol Hotel. Frankfurt Airport is only 15 minutes by S-Bahn train. These serviced apartments in central Frankfurt offer free Wi-Fi and great transport connections. The air-conditioned Paragon Apartments feature big walk-in wardrobes, flat-screen TVs, and fully equipped kitchenettes. Telephones are provided on request. All Paragon Apartments are easily accessible and served by an elevator. Guests staying at the Paragon Apartments are welcome to use the fitness room on the top floor. Guests can relax in the Olive restaurant, or enjoy a hot drink at the nearby coffee shop. There are several eateries offering breakfast and other meals within a 5-minute walk of the property. The Paragon Apartments are directly opposite the Rennbahn tram stop. It provides good connections to the Frankfurt Messe exhibition centre and Hauptbahnhof train station. This 3-star-superior hotel in Frankfurt offers comfortably furnished rooms and a traditional restaurant. 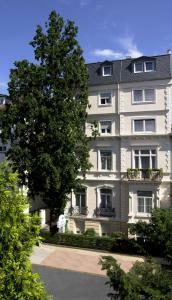 It is 500 metres from the River Main and a 2-minute walk from the Zeil shopping street. mainhaus Stadthotel Frankfurt was completely modernised in 2011, and all rooms include a flat-screen TV and a private bathroom. Wi-Fi can be booked in all rooms, and there is a free internet computer at reception. A varied breakfast buffet is available in the traditional restaurant each morning. Typical German dishes are served here for lunch and dinner. On-site parking is available at the mainhaus Stadthotel Frankfurt. Frankfurt Trade Fair is 3 km away. Situated just 200 metres from Frankfurt Central Train Station, FreddApp One offers modern rooms with free Wi-Fi and a 24-inch flat-screen TV. A fully equipped shared kitchen is free for guests’ use. Rooms at FreddApp One feature chic design with stylish wooden floors, colourful paintings and white furniture. Shared bathroom facilities are located in the hallway. Guests can choose to cook meals in the shared kitchen, or visit one of the many restaurants within 500 metres of the hotel. Baseler Platz Tram Stop is just 60 metres away and offers direct connections to many of Frankfurt’s most popular sights. It is only a 15-minute walk to the Frankfurt Trade Fair, and 10 minutes to the Kaiserstraße shopping mile. Housed in a charming building dating to 1900, this design hotel in Frankfurt’s calm Nordend district features free Wi-Fi and a garden terrace. Wasserpark Park is only 500 metres away. 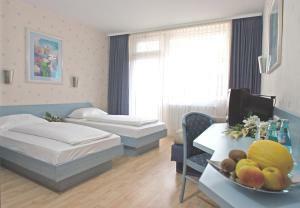 The simply-furnished rooms of the Arena Villa am Wasserpark include flat-screen TVs and complimentary toiletries. Some rooms also come with a private balcony. A breakfast buffet can be enjoyed in the hotel’s bright dining room, while the hotel bar offers drinks and light snacks. Located directly by tram line 18, the Arena Villa am Wasserpark provides connections to Frankfurt Central Train Station and the Frankfurt Convention Centre 5 km away. Frankfurt Airport is a 20-minute drive away via A661 motorway, which is 1.3 km from the hotel. An airport shuttle and free on-site public parking is available. Room service is available between 07:00 and 22:00. Please note that only a limited number of parking spaces are available. Located between Frankfurt Central Station and the River Main, this guest house offers free Wi-Fi. Buses to Frankfurt Hahn Airport stop 50 metres away. All rooms at Pension Alpha Frankfurt City are simply furnished and feature a TV, desk and a private bathroom. Every room that includes a bathroom was newly renovated and refurnished in 2015. A rich breakfast buffet is served from 06:00 at the Alpha Frankfurt every day. 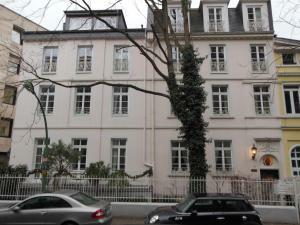 The Alpha Frankfurt is just steps away from the Baseler Platz tram stop. Frankfurt Trade Fair is 10 minutes away by tram. Just a 3-minute walk from Frankfurt Central Station, this elegant hotel offers a 24-hour bar and soundproofed rooms with flat-screen TVs and free WiFi. Frankfurt Opera House is a 5-minute walk away. The 4-star Hotel Victoria is located in a historical building. Today, it offers air-conditioned rooms and suites with wooden floors and colourful pop art. All rooms include a minibar and safety deposit box. A large hot and cold breakfast buffet is provided each morning in Victoria’s stylish breakfast room. Free internet terminals are available, and guests can choose from a selection of daily newspapers. The Zeil shopping street is a 13-minute walk away or 2 stops away by S-Bahn train. The Victoria Hotel is also a 2-minute walk from the Weser/Münchener Straße Tram Stop, which provides a quick connection to the Römer. Situated in the Bockenheim district, just 700 metres from the Frankfurt trade fair centre, this modern hotel offers modern rooms and excellent road and public transport access. Opened in January 2010, Hotel Arena Messe Frankfurt provides comfortable rooms with all modern amenities, including free Wi-Fi internet access. The Hotel Arena Messe is just steps away from an S-Bahn (city rail) station and just a few minutes' walk from the U6 and U7 underground lines. The public transport connections quickly take guests to all cultural and tourist attractions in the heart of Frankfurt, including the opera house and Römer town square. The financial district is also within easy reach. Guests with cars will appreciate the nearby car parks and the good motorway connections to all of Frankfurt, and the wider Rhine-Main region. This 3-star hotel offers 24-hour reception and soundproofed rooms with free Wi-Fi internet. It lies in the heart of Frankfurt, just 200 metres away from Frankfurt Central Station. All rooms at the Best Western Hotel Domicil include cable TV and a minibar. Free coffee, tea and hot chocolate are available in the lobby throughout the day. Guests are also welcome to use the lobby's internet terminal for free. The Best Western Hotel Domicil serves a rich, healthy breakfast buffet each morning. Frankfurt Central Station provides a direct link to Frankfurt Airport, and it is just 1 metro stop to the Frankfurt Trade Fair. The city's shopping area can be reached on foot in 10 minutes. The Best Western Hotel Plaza is located in central Frankfurt, just a 5-minute walk from Frankfurt Central Station. It offers quiet rooms with free Wi-Fi internet and a 24-hour reception. All of the rooms at the Best Western Hotel Plaza have a modern bathroom, minibar and a flat-screen TV. A buffet breakfast is served each morning in the elegant breakfast room, featuring bright lighting and stylish furnishings. Free hot drinks and mineral water are available at the Best Western’s bar and reception. There is also a free internet terminal in the hotel lobby. The Hauptbahnhof Underground Station is just a 5-minute walk away, providing a link to the Messe Frankfurt Trade Fair in 3 minutes. Soundproofed rooms, free Wi-Fi, and a 24-hour reception are offered by this modern, 3-star hotel in Frankfurt. The Zeil shopping street and Konstablerwache Underground Station are just 300 metres away. The elegant rooms at the Best Western Hotel Scala feature cable TV, a desk, and a seating area. They all include black-out curtains, and guests can choose their favourite pillow. Each day at the Scala Hotel starts with a hot and cold buffet with homemade muesli. Guests can enjoy free hot drinks at the Scala’s 24-hour reception. Direct trains run from Konstablerwache Underground Station to Frankfurt Central Station in 4 minutes. The Frankfurt Messe Exhibition Centre can be reached in 9 minutes. Offering free Wi-Fi, the Conference Hotel Frankfurt is just a 5-minute walk from Frankfurt Central Station. This hotel is a 5-minute drive from the Frankfurt Trade Fair. 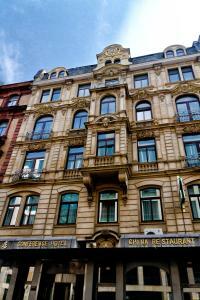 Conference Hotel Frankfurt is located in a stylish building, which is historically listed. All rooms have been completely renovated since 2012. A varied European breakfast is offered each morning. This also includes Asian specialities during exhibition periods. Frankfurt International Airport is a 20-minute drive from the hotel. Set in the heart of Frankfurt, Hotel Bliss is within 500 metres of Frankfurt Central Station and Frankfurt Exhibition Grounds. It features free Wi-Fi, a 24-hour front desk and modern interiors. Modern rooms have a monochrome design and contemporary furnishings. Comforts include a flat-screen TV, air conditioning and a work desk. The private bathroom comes with free toiletries and a hairdryer. A hearty buffet breakfast is available each morning, offering a variety of hot and cold dishes. Frankfurt Central Station connects you directly to the Zeil shopping street (2.3 km) and the Museum Mile is only 1.6 km away. The Goethe House is also 1.6 km from Hotel Bliss. Just 30 metres from Frankfurt Cathedral, this family-run hotel offers free Wi-Fi, a buffet breakfast and rooms with a flat-screen TV. Hotel am Dom is a 2-minute walk from Dom/Römer Underground Station. Quiet rooms and apartments at this central Frankfurt hotel include traditional furnishings, a work desk and a modern bathroom with a hairdryer. Some rooms have views of the cathedral. Hotel am Dom is a 3-minute walk from the River Main and a great selection of restaurants and cafés. 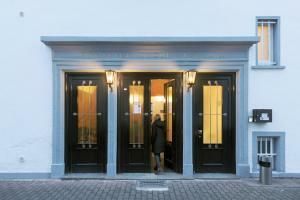 Goethe House and many other popular museums can be found within a 10-minute walk of the hotel. Frankfurt Trade Fair is a 15-minute train ride from the hotel, and Frankfurt Main Station is a 5-minute ride away. Frankfurt Airport is 14 km away. This hotel in Frankfurt’s vibrant district of Alt-Sachsenhausen offers functional and affordable rooms. It is a short journey to the city centre and conference grounds on public transport. The Hotel Royal is a converted boutique hotel which combines traditional bed-and-breakfast hospitality with modern service. Catch up on sleep in the Royal’s en-suite rooms, and help yourself to a free continental breakfast in the morning. The Royal enjoys a peaceful location in one of Frankfurt’s most attractive residential areas, near colourful restaurants and bars. The nearby tram stops and Lokalbahnhof S-Bahn (city rail) and U-Bahn (underground) station quickly connect you to destinations including the Römer square, financial district, and Zeil shopping street. This 3-star hotel is located only a 8-minute drive from the Frankfurt Trade Fair. Tagungshotel Höchster Hof offers guests free use of bicycles, a sauna and Wi-Fi. Rooms at Tagungshotel Höchster Hof offer homelike interiors with carpets and curtains. Every room has a TV and some rooms offer a minibar and scenic views of the River Main. A breakfast buffet is available each morning. Guests are welcome to use the free internet terminals in the lobby, where free newspapers are also available. Opportunities for cycling, hiking and fishing can be found nearby the hotel. Frankfurt city centre is 9 km away and offers sights such as the Frankfurt Cathedral and Römerberg Old Town. Tagungshotel Höchster Hof is located only 8 minutes’ walk from Frankfurt-Höchst S-Bahn Train Station. Frankfurt International Airport and Frankfurt Central Train Station are both less than 8 km away. Situated in the heart of Frankfurt am Main city centre, this modern hotel offers free Wi-Fi, a breakfast buffet and a fitness area. Fleming's Deluxe Hotel Frankfurt Main-Riverside also has sauna facilities. All rooms at Fleming's Deluxe Hotel Frankfurt Main-Riverside are air-conditioned and offer warm amber décor, a flat-screen TV with satellite channels, an iPod docking station and a minibar. Each one also has a fully glazed bathroom with shower. Rooms also contain a complementary bottle of water, as well as free toiletries. Guests can choose from a selection of pillows to maximise comfort. Guests are invited to dine at Fleming's Deluxe Hotel Frankfurt Main-Riverside’s restaurant, serving up a selection of dishes. 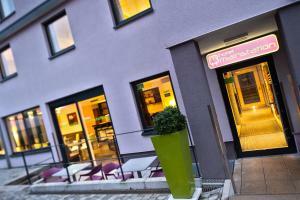 This hotel is located 3 km from Frankfurt Main Station and 13 km from Frankfurt Airport. Konstablerwache Underground Station is a 10-minute walk from the hotel. On-site parking, as well as a valet service is available at this hotel. This modern hotel is opposite Frankfurt's main train station. It offers 55 non-smoking rooms, free WiFi, and a 24-hour bar. The Messe exhibition centre is 5 minutes away by underground. The Manhattan Hotel has bright rooms with desks, minibar, and flat-screen satellite TV. A big breakfast buffet is available at the Manhattan every day. Guests staying at the Manhattan Hotel can make free use of the internet terminal in the lobby. The Manhattan Hotel is only 20 minutes away from Frankfurt Airport by S-Bahn (city rail). This non-smoking hotel in Frankfurt offers spacious rooms with panoramic views, a 24-hour fitness centre, and underground parking. It stands opposite Frankfurt Messe exhibition grounds, 500 metres from the Festhalle/Messe Underground Station. The modern, soundproofed rooms of the Frankfurt Marriott Hotel feature a 42-inch flat-screen satellite TV. Some include free Executive Lounge access and free WiFi. A rich breakfast buffet is offered in the hotel's Brasserie Ici. Guests can also relax in Cross, which is a bar, lounge, café and à la carte restaurant. The Champions Sports Bar and Restaurant serves American dishes and televises major international sports events. Frankfurt Central Station is 1 km from the hotel, while the A5 motorway is 4 km away. The hotel offers a 1300 m² conference area consisting of 16 meeting rooms and suites. Situated on a boat docked at the Untermainkai in the centre of Frankfurt, this hotel features a sauna and solarium. Guests can dine in the elegant restaurant, and enjoy a drink at the bar. The cabins on the Regis Hotelschiff Frankfurt 4* feature classic-style interiors, a TV and a private bathroom. A hairdryer is provided, and some rooms also have a balcony. Willy-Brandt-Platz Underground Station is a 5-minute walk from the Regis Hotelschiff Frankfurt 4*, and Frankfurt Exhibition Centre is a 5-minute drive away. Public parking is available nearby. This privately run 3-star hotel near Frankfurt's Train Station offers a free breakfast buffet and free internet access throughout. The hotel's Ari Rang Restaurant serves Asian specialities. The rooms at the Hotel Münchner Hof feature a minibar, free Wi-Fi, and pay TV channels. The Münchner Hof's breakfast buffet is served in the dining room, where there is also an internet terminal which can be used by guests for free. Frankfurt's Train Station is just 150 metres away from the Münchner Hof. The famous Zeil shopping street, Frankfurt's financial district and the historic city centre are all just a short walk away. Situated in central Frankfurt, this modern hotel boasts great public transport links and a convenient location. The trade fair and the main railway station are just a short stroll away. Guests at the Hotel Attaché an der Messe can expect spacious and comfortable rooms, and a huge breakfast buffet. During the evenings, the cosy bar is an ideal place to unwind with a refreshing drink. The friendly concierge will happily help you with sightseeing tips. The Galluswarte S-Bahn (city rail) station is a 3-minute walk away from the Hotel Attaché, providing a fast and easy link to all of Frankfurt’s top sights. Attractions such as the Alte Oper (Old Opera House) and the Zeil shopping district can be reached within minutes. This 4-star apartment hotel offers elegant accommodation in Frankfurt’s Westend district, just a 10-minute walk away from the Messe Frankfurt trade fair, the main railway station and the financial district. As a guest at the Dirazi Guesthouse, you can look forward to tastefully furnished rooms and apartments equipped with free broadband internet access. All of the Dirazi’s rooms include a modern tiled bathroom, and many have a balcony with views of the garden. The apartments and double rooms feature a kitchen area. Frankfurt’s most popular sightseeing and business destinations are easily accessible from here via public transport or on foot. You will find a tram stop less than 400 metres away. During your visit, take some time to explore the city’s world-famous sights. These include the Palmengarten botanical gardens and the Museumsufer (riverside museum district). This historic hotel in Frankfurt offers stylish accommodation and spa facilities. It lies a 15-minute walk from the Old Town and Frankfurt Exhibition Centre, and 200 metres from Frankfurt's main station. The Le Méridien Parkhotel Frankfurt offers elegant, air-conditioned rooms and suites. They are located either in the modern wing or in the historical section. All rooms and suites come with a flat-screen TV and internet access (for a fee). On-site parking is available. The Le Méridien's White Stone Lounge spa area includes a gym, sauna and steam room. A range of massages is also available. Breakfast is served in the Le Parc restaurant. Sunday brunch is available until 14:30. An international menu is offered here throughout the day. The Casablanca Bar features leather armchairs and live piano music. During the summer, drinks and local dishes are available on the Le Jardin garden terrace. This non-smoking hotel is directly connected to Frankfurt Airport’s Terminal 1. It offers soundproofed rooms, stylish spa and fitness facilities, and 2 à la carte restaurants. The modern rooms at the Sheraton Frankfurt Airport Hotel & Conference Center feature a flat-screen TV, Wi-Fi, and maple-wood furniture. The Sheraton Fitness area includes modern saunas and steam rooms. Massages and beauty treatments are available. The Link@Sheraton lounge offers computer terminals and a flat-screen TV. Internet is available. German specialities are served in the Frankfurt Airport Sheraton’s Taverne restaurant. The Flavors restaurant prepares European and Asian dishes. The Lemon & Limes bar shows live sports events. Drivers are 15 minutes from central Frankfurt. Trains run from Frankfurt Flughafen Train Station to Frankfurt Main Station in 20 minutes. This 4-star hotel in Frankfurt's Niederrad district is a 10-minute train journey from the city centre. It offers on-site parking, free WiFi in all areas, and free use of the sauna and swimming pool. The modern rooms and suites of the Dorint Hotel Frankfurt-Niederrad have cable TV and tea/coffee-making facilities. Some also offer air conditioning. A rich buffet breakfast is available between 06:00 and 10:30 each morning. Free toast and coffee is provided between 04:00 and 06:00. The Dorint Hotel Frankfurt-Niederrad has a restaurant and a summer terrace. Guests are welcome to relax with a drink in the bar. Bürostadt Niederrad Business Park is just 500 metres from the Dorint. Niederrad Train Station is a 6-minute walk away. This hotel is located in the heart of Frankfurt, just a 2-minute walk from Frankfurt Central Station. The Bristol Hotel offers contemporary design, free Wi-Fi and a bar. The Bristol Hotel Frankfurt features a modern glass façade and modern rooms decorated in beige and brown colours. Every room includes a flat-screen TV with satellite channels as well as a private bathroom. A full breakfast buffet is provided from 06:30 each morning in the Bristol’s bright breakfast room, which has large windows overlooking the outside terrace. Drinks and snacks are served in the trendy bar or in the Bristol Summer Lounge. The Bristol Hotel is a 10-minute walk from Frankfurt Trade Fair, banking district and the Museumsufer Museum Mile directly across the River Main. Frankfurt Central Station provides bus, tram, underground and S-Bahn train connections to all parts of Frankfurt. Frankfurt Airport is just 15 minutes away by train. This 4-star hotel is a 15-minute walk from the Frankfurt Trade Fair and 20 minutes from Frankfurt Central Station. The Tryp by Wyndham Frankfurt offers spacious rooms and free WiFi. Rooms at the Tryp by Wyndham Frankfurt are brightly decorated with a modern and minimalist design. All rooms include a flat-screen TV, desk and a private bathroom. A full breakfast buffet is served from 06:30 each morning in the hotel’s stylish breakfast room. This features white furniture and cool art designs. Galluswarte tram stop is directly opposite the Trip by Wyndham Frankfurt. Direct trams go to the Zeil shopping street in 13 minutes. Tryp by Wyndham Frankfurt is 250 metres from Galluswarte S-Bahn Station. This is a 5-minute journey from Frankfurt Central Station and Frankfurt city centre. The hotel offers on-site parking for an additional charge. This family-run hotel is 100 metres from Frankfurt Central Station and 750 metres from the Frankfurt Trade Fair. Hotel Bova offers free Wi-Fi and a 24-hour reception. The non-smoking rooms at Hotel Bova Frankfurt feature modern décor and bright interiors. All rooms include a flat-screen satellite TV, desk, safe and a private bathroom with shower. A continental breakfast is provided in the stylish café with its parquet floors. A selection of drinks and coffees are served here throughout the day. Hotel Bova offers tram and underground connections to all parts of Frankfurt. Frankfurt Airport is a direct 15-minute train journey away. This modern 4-star hotel is just a 10-minute walk from the Frankfurt Messe exhibition centre. It offers free Wi-Fi and great public transport links. The Fleming's Hotel Frankfurt Hamburger Allee is only 5 tram stops from Frankfurt's main train station and financial district. The Fleming's Hotel's spacious rooms include stylish bathrooms and high-quality beds. European dishes, seafood, and fine wines are served in the Fleming's Brasserie & Wine Bar. Guests are welcome to relax in the Fleming's Hotel's sauna or work out in the fitness room. 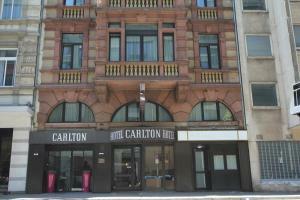 This non-smoking hotel is located on the corner of the Zeil shopping street in central Frankfurt. It features 3 restaurants, a 24-hour gym and a large spa with an indoor swimming pool. Wi-Fi is free in the lobby, restaurant and bar. Just 4 km from Frankfurt Trade Fair, Westin Grand Frankfurt provides spacious and air-conditioned rooms and suites. All rooms feature modern décor, a flat-screen TV and a heated bathroom floor. The Westin Grand's Emotion Spa offers a sauna area as well as luxurious health and beauty treatments. The heated pool offers panoramic views of Frankfurt’s Old Town district. The Westin Frankfurt serves breakfast buffets in Motions restaurant, Chinese specialities in the San San restaurant and gourmet Japanese cuisine in the Sushimoto restaurant. Guests can also relax in the GrandSeven Lounge & Bar, Pool Bar, and Davidoff Cigar Lounge. Konstablerwache Station S-Bahn and Underground Station can be found next to the Westin Grand Frankfurt. On-site parking is available. The Hilton Garden Inn is located in the iconic The Squaire building at Frankfurt Airport, directly above the intercity train station. 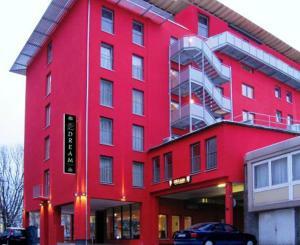 Opened in December 2011, this 3-star hotel offers free Wi-Fi and tea/coffee facilities. 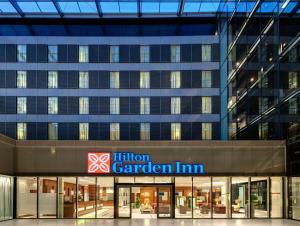 The air-conditioned rooms at the Hilton Garden Inn Frankfurt Airport feature specially designed beds and a large work desk. All rooms offer a 26-inch flat-screen TV and remote printing to the 24-hour business centre. A rich breakfast buffet is served in the spacious restaurant with its elegant décor and full bar. Snacks and drinks are also available in the 24-hour Pavilion Pantry Kiosk. Guests enjoy free use of the Hilton Garden Inn Frankfurt’s spa with a sauna and modern gym. Massages can also be booked. On-site parking is available at the Hilton Frankfurt Airport. Frankfurt city centre is 15 minutes away by train or via the A3 motorway. Centrally located in Frankfurt beside the Bockenheimer Warte Medieval tower, this hotel is just 500 metres away from the Palmengarten botanical gardens and an underground station. The Hotel West offers excellent public transport connections and lovingly furnished rooms equipped with all of the modern comforts you need. The delicious breakfast buffet ensures an energetic start to the day. Many famous attractions are close to the Hotel West. These include the Senckenberg Museum which is 600 metres away, the University of Frankfurt and the Leipziger Straße shopping centre. Business travellers can walk to the Frankfurt Messe in less than 10 minutes. The Bockenheimer Warte U-Bahn (underground) station and a tram stop can be found right next to the hotel. From these hubs, you will enjoy fast and easy access to all areas of the city. This new hotel lies in the heart of Frankfurt, opposite the European Central Bank and a 3-minute walk from the Old Town and Opera. Wi-Fi is free for guests at Willy Hotel Frankfurt. All rooms are spacious and furnished in a contemporary style. Each room includes a flat-screen satellite TV, minibar and a private bathroom with shower and hairdryer. A breakfast buffet is prepared each morning at Willy Hotel Frankfurt. Many diverse cafés, bars and restaurants can be found within 1 km. The Zeil shopping street is a 5-minute walk away. Willy-Brandt-Platz Underground Station is directly at the hotel. Frankfurt Central Station is just 1 stop away and offers direct connections to the Frankfurt Trade Fair (2 km) and Frankfurt Airport (13 km). Situated directly beside Frankfurt's exhibition grounds, this small 4-star hotel offers air-conditioned rooms, free parking and excellent transport links. The main railway station is a direct tram ride away. Individually furnished rooms with minibar and cable TV await you at the NH Frankfurt Villa. Wi-Fi is available in the entire hotel. Late check-out is available free of charge on Sundays until 17:00. Enjoy a generous breakfast buffet in the bright breakfast room each morning. A café and bar are also available on site, and guests can sit on the attractive terrace during warm weather. The hotel is ideal for visitors to the trade fair centre, and is also a short walk from the university and the Palmengarten park. The sights of the city centre can be reached in a few minutes by tram. Guests staying at the NH Frankfurt Villa enjoy reduced rates at the neighbouring fitness club. This 4-star hotel lies in the heart of Frankfurt, a 5-minute walk from the Zeil shopping street. It offers international cuisine and a spa area with sauna, gym and massages. Free WiFi is provided throughout. The bright and spacious rooms at the NH Collection Frankfurt City feature modern décor with warm orange and brown colours. Every room is air-conditioned and includes tea/coffee facilities, satellite TV and a modern bathroom. A full breakfast buffet as well as Japanese and Arabian cuisine are served in the NH Collection Frankfurt City’s brightly decorated restaurant with its large windows. 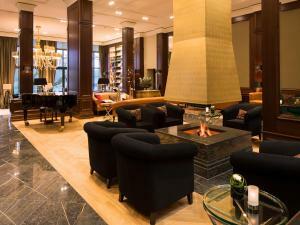 Guests are also welcome to relax with a drink in the spacious lobby bar with its lounge seating. Konstablerwache Underground and S-Bahn Station is a 5-minute walk from the NH, providing fast links to Frankfurt Airport and the Frankfurt Trade Fair. On-site parking is also available. 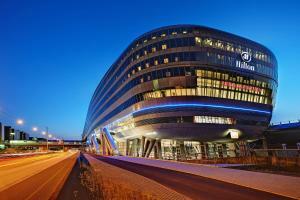 The modern NH Frankfurt Messe is just 100 metres from Frankfurt Trade Fair and the Messe Underground Station. It offers free Wi-Fi, a 24-hour reception and stylish rooms with a flat-screen TV. Featuring elegant green and white décor, all of the NH Frankfurt Messe’s rooms have air conditioning and tea/coffee facilities. The bathrooms come equipped with a hairdryer. In the mornings, guests can order a full breakfast buffet in the bright breakfast room. During the evenings, light snacks and international drinks are served at the trendy hotel bar. Frankfurt Central Station is just 800 metres away from the hotel, providing a link to Frankfurt Airport in around 25 minutes. This modern Holiday Inn Express in the Gutleutviertel district of Frankfurt offers air-conditioned rooms and a daily breakfast buffet. Frankfurt Trade Fair and Frankfurt Central Station are just 2 km away. Every room at the Holiday Inn Express Frankfurt Messe has a flat-screen satellite TV, tea/coffee facilities and a private bathroom. Free Wi-Fi is available in all areas of the accommodation. German beers, fine wines and small snacks are served at the Holiday Inn Express’s bar. The staff at the 24-hour reception can also help to reserve tables at nearby restaurants. Up to 2 children under the age of 18 can stay with parents for free on the sofa bed. 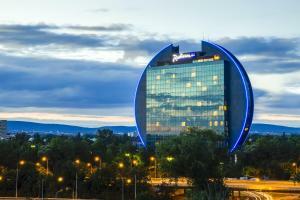 Frankfurt Airport is just a 20-minute drive away from the Holiday Inn Express. This hotel is just 900 metres from Frankfurt Airport. It offers soundproofed rooms, a 570 m² rooftop spa area with pool, a 24-hour bistro bar in the lobby, and free WiFi in all areas. Spacious rooms with a flat-screen TV and minibar are offered at the Steigenberger Airport Hotel Frankfurt. The private bathrooms each have a bath or a shower, hairdryer and toiletries. A quick check-in and check-out are helped by the free shuttle service to and from the airport. The indoor pool, fitness centre and sauna area of the Steigenberger's 9th floor spa area are free for guests to use. There are 3 restaurants at the Steigenberger Airport Hotel open throughout the day. The Con.nex.ion bistro bar in the lobby is open 24 hours a day. The hotel is next to Frankfurt's city forest and just a short shuttle-bus ride from the airport's train station. From here, Frankfurt's city centre can be reached in 12 minutes. This Frankfurt hostel features a 24-hour front desk, a library, free WiFi access and a rooftop bar with views of the city skyline. 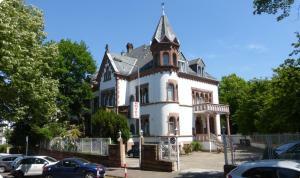 It is located 1 km from Frankfurt Main Train Station. Rooms at A&O Frankfurt Galluswarte offer contemporary-style interiors. Some rooms offer a private bathroom, while others offer access to shared bathroom facilities. A breakfast can be ordered at the hostel for a fee. Vegetarian options are available, as are foods for diabetics. Guests will also find barbecue facilities available on site. Frankfurt city centre is located 2 km from the hostel, while Frankfurt Trade Fair is only 1.5 km away. At the hostel, guests can relax in the games room or in the hostel library. A&O Frankfurt Galluswarte is set 15 km from Frankfurt Airport. Situated right in the heart of Frankfurt's Old Town, 2 minutes' walk from the cathedral and Römer Platz square, this hotel offers comfortable accommodation and free Wi-Fi internet access. The rooms of the Hotel Miramar Golden Mile are tastefully furnished and come well-equipped with a minibar, TV, safe and air-conditioning. Fill your plate from the rich and varied, complimentary breakfast buffet each morning, and enjoy a great start to your day. The Zeil shopping boulevard and Frankfurt's financial district lie just a short stroll away from the Miramar, while the Tigerpalast vaudeville theatre (300 metres) is always worth a visit. You will find the nearest train and bus station just 200 metres away. Located in Frankfurt‘s quiet Rödelheim district, this hotel offers bright rooms with free WiFi. Frankfurt Airport is 12 minutes away by car or public transport. Each room at Hotel Eschborner Hoft includes cable TV and a work desk. Guests receive a free bottle of water on arrival. A hearty breakfast buffet is available each morning and guests can dine at the hotel's own restaurant. 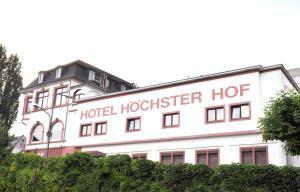 During major trade fairs, the Hotel Eschborner Hof offers a free shuttle service to/from Rödelheim Train Station. Frankfurt Trade Fair is just one stop from there. Frankfurt city centre is 4 stops away by S-Bahn train. Just 100 metres from Frankfurt Central Station, this hotel offers rooms with a flat-screen TV and free Wi-Fi. A varied breakfast buffet is available every day. The modern rooms at Hotel Tourist include a work desk and minibar. The bathrooms include toiletries and a hairdryer. Guests are welcome to relax in the Tourist’s lobby during the day. A free computer terminal is located here. Sights such as the Museumsufer Museum Mile and Frankfurt’s Old Town district are just a 10-minute walk away. Direct trains run from Frankfurt Central Station to Frankfurt Messe Exhibition Centre and Frankfurt Airport. This TOP Hotel is located in the Sindlingen district of Frankfurt. Frankfurt city centre is a 12-minute drive away. The TOP Hotel Post Frankfurt Airport has quiet rooms with a private bathroom and satellite TV. Guests also have use of an in-house skittle alley. Guests can use the sauna for a small fee. The TOP Hotel Post’s restaurant serves regional specialities and international dishes in the evenings. A breakfast buffet is prepared each morning. The TOP Hotel Frankfurt offers an airport shuttle service daily from 07:00 to 22:00. Services outside these times can be arranged on advance request. Sindlingen City Rail Station is a 10-minute walk from the hotel, with direct links to Frankfurt’s city centre. The River Main is 500 metres from the hotel. 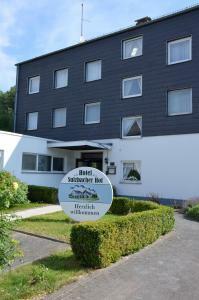 Situated in the town of Sulzbach, Landhotel Sulzbacher Hof offers comfortable rooms with free WiFi access throughout. 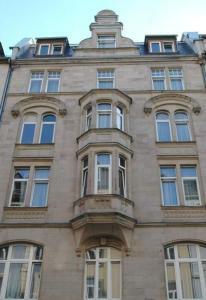 It is a 15-minute drive to Frankfurt Airport, conference grounds, and city centre. The bright rooms at Landhotel Sulzbacher Hof all feature satellite TV and have an en suite bathroom with a hairdryer. Some rooms also include a small terrace or a view of the Taunus Mountains. The hotel is ideally located for exploring the Hesse countryside by bike or on foot, and there is a walking trail nearby. A breakfast buffet is provided each morning, and within a 10-minute walk of the hotel there are various restaurants specialising in regional and international cuisine. Landhotel Sulzbacher Hof is 2 km from Sulzbach (Taunnus) Nord S-Bahn Train Station, and it is a 5-minute drive to the A66 motorway. Free private parking is available at the hotel. Overlooking the River Main, this hotel offers a free pool and gym, and elegant apartments with balconies. Frankfurt Central Station and the Zeil shopping street are just 1 underground stop away. 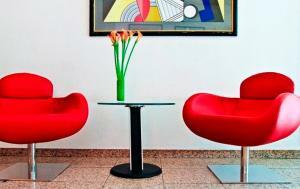 The 4-star Adina Apartment Hotel Frankfurt Neue Oper provides air-conditioned apartments with stylish, colourful décor. Each apartment has a kitchenette, a flat-screen TV and a laptop safe. A large hot and cold breakfast buffet is available each morning. During the day, the Alto Restaurant offers German-style tapas and Australian cuisine. Some of the Adina Premium Apartments offer access to a private rooftop terrace with great views of the city. Further relaxation is offered by the sauna. The Adina Frankfurt stands beside Frankfurt Opera House, within a 5-minute walk of the financial district and the old town. Willy-Brandt-Platz ‎Underground Station is a 4-minute walk away, and is on 5 different underground lines. - Take the S8 or S9 S-Bahn (city-rail) line 5 stops to Hauptwache station. The station is just one minute from the hotel. Take any one of seven lines 2 stops to Hauptwache. You will find a taxi rank 50 metres from the hotel. This 3-star superior hotel is just 800 metres from Frankfurt am Main Airport Terminal 2. It features a 24-hour reception with live flight information, soundproofed windows, and free Wi-Fi in public areas. The modern rooms at the Meininger Hotel Frankfurt Main/Airport offer a flat-screen TV and an iPod dock. A hairdryer is provided in the private bathroom. Guests can prepare meals in the shared kitchen, and light snacks and drinks can be ordered at the bar. Frankfurt am Main Flughafen Fernbahnhof Train Station is 1.5 km from the hotel, and the centre of Frankfurt is a 15-minute drive away. The hotel offers a free shuttle service from the airport to the hotel. Offering modern rooms with flat-screen TV, free Wi-Fi, and underground parking, this non-smoking, 3-star hotel is just 200 metres from Frankfurt Central Station. The Financial District is 500 metres away. Newly renovated in 2010, the mk hotel frankfurt provides rooms facing the Kaiserstraße street or quiet courtyard. All rooms include a private bathroom. Varied breakfast buffets are available at the mk frankfurt in the mornings. Guests can also relax outside on the terrace. Underground trains run from Frankfurt Central Station to the Frankfurt Messe Exhibition Centre in just one minute. Guests staying at the hotel mk can reach Frankfurt Airport in 20 minutes by city rail. 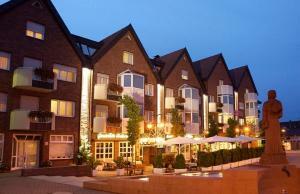 This hotel is located near the River Main, a 5-minute drive east of Frankfurt city centre. 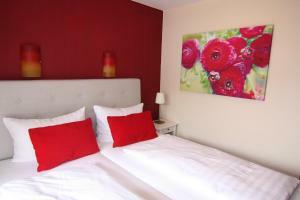 B&B Hotel Frankfurt City-Ost offers soundproofed rooms and free Wi-Fi. Rooms at Frankfurt B&B City-Ost feature a fresh and colourful design. All rooms are air-conditioned and include a flat-screen TV with free SKY channels as well a private bathroom. A full breakfast buffet is available each morning in the bright dining room. Vending machines also provide drinks and snacks. 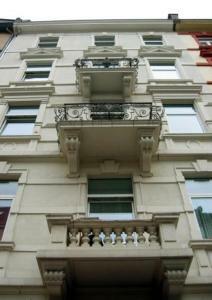 The B&B City-Ost is a 4-minute walk from Ostbahnhof Underground Station and Frankfurt Ost Train Station. The Frankfurt Trade Fair and Frankfurt Airport are a 15-minute journey away. Just 400 metres from Frankfurt Central Station, this modern hotel offers soundproofed rooms with flat-screen TV, daily buffet breakfasts, and a private garage. Rooms with free tea/coffee facilities, air conditioning, and a safety deposit box are provided by the non-smoking Holiday Inn Express Frankfurt City Hauptbahnhof. Free Wi-Fi is available. The Frankfurt Messe Exhibition Centre is just 4 minutes away by S-Bahn train. This 4-star hotel is a 2-minute walk from the River Main and a 10-minute walk from Frankfurt Central Station. It offers a 24-hour reception, modern design and free Wi-Fi internet. The air-conditioned rooms at the Hotel Pearl feature a flat-screen TV. The bathroom includes a rain shower and cosmetic mirror. Some rooms offer views of Frankfurt’s impressive skyline. A breakfast buffet is available each morning from 07:00. Guests can enjoy an evening drink in the hotel bar or on the terrace. 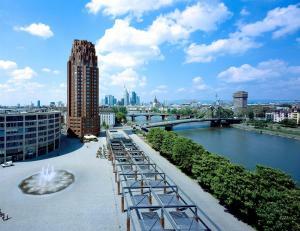 The Pearl Hotel in the Westhafen (west harbour) area of Frankfurt is just 2.4 km from the Frankfurter Messe trade fair. There are direct buses from Rottweiler Platz, 200 metres from the hotel. The Hotel Pearl Frankfurt has a private car park. Frankfurt Airport is a 15-minute drive away. This 3-star hotel enjoys a central location in Frankfurt, steps away from the main railway station and within walking distance of the city’s trade fair, financial district and tourist attractions. Boasting over 100 years of history, the Hotel Continental offers spacious en suite rooms with all modern amenities, such as cable TV and free WiFi in all areas. From the nearby station, guests enjoy excellent transport connections to all parts of Frankfurt. Frankfurt Airport is a direct S-Bahn (city rail) journey away, and the Messe (exhibition centre) is just 2 short stops away. The Hotel Continental is an ideal base for a shopping trip or a cultural and leisure break. The Zeil shopping mile is nearby, and the Museumsufer (museum mile) is just across the River Main. Get your day’s business or leisure activities in Frankfurt off to an energetic start with the rich buffet breakfast. This hotel offers a free breakfast buffet and a 24-hour reception. It is a direct train ride from Frankfurt Airport and the Zeil shopping street is a 12-minute walk away. Each room at the Hotel Diplomat includes a private bathroom, cable TV and wake up service. Wi-Fi access is also available for an additional fee. A buffet breakfast is served in the breakfast room each morning. Several restaurants are within walking distance. Ostendstraße S-Bahn Train Station is a 1-minute walk from the Diplomat, providing a direct connection to Frankfurt Central Station. The Diplomat offers private parking spaces. Luggage storage is also available. This elegant hotel lies in the Heddernheim district of Frankfurt, 20 minutes from the city centre, and offers a shuttle service to and from the exhibition grounds. The stylish rooms of the Hotel Heddernheimer Hof have been tastefully furnished and offer free Wi-Fi internet access. Guests are welcome to relax in the hotel's wellness area, which features a sauna. The hotel can also help with organising a massage appointment. Wake up to a delicious breakfast buffet each morning before setting out to explore the area. You can park your car on-site for free and take advantage of the nearby public transport services. The Heddernheim U-Bahn (underground) station is a 5-minute walk away. You can also explore one of the largest shopping centres in Frankfurt, the Nordwestzentrum, which is just a 10-minute walk from the Heddernheimer Hof. A 4-minute walk from Frankfurt Zoo and the Zeil shopping street, this hotel offers breakfasts and free Wi-Fi in the lobby. Trams run directly to Frankfurt’s Old Town and Central Station. Quietly located on a side road, Hotel Jaguar City has bright rooms with cable TV, a safety deposit box and a private bathroom. Some rooms also include a kitchenette and seating area. Many restaurants and cafés are within a 5-minute walk of the Jaguar City. A 2-minute walk takes you to Zoo Underground Station and the Ostendstraße Tram Stop. A private car park is available for an extra charge. This hotel offers modern studios with free internet access, free Sky TV channels and a wellness area. It lies in Frankfurt's Niederrad district, a 20-minute journey from the city centre. The air-conditioned studios of the Innside by Meliá Frankfurt Niederrad hotel feature a designer bathroom and flat-screen TV. Drinks from the minibar are free. The wellness area has a sauna, an aroma steam room, solarium and fitness room. Argentinian and international cuisine is served at the Fugo restaurant with terrace. Guests are welcome to relax with a drink in the Meliá Frankfurt Niederrad's stylish bar. The nearest tram stop is 500 metres from the hotel. Niederrad S-Bahn train station is a 10-minute walk away. 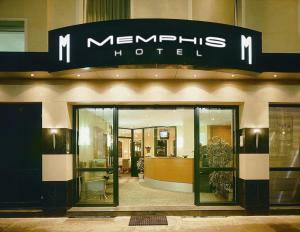 This hotel in central Frankfurt is located just a few steps from Frankfurt Zoo and Zoo Underground Station. It offers modern rooms with free Wi-Fi, 24-hour reception and on-site parking. 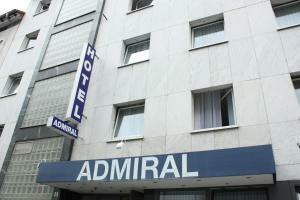 All rooms at the Admiral Hotel come with satellite TV, a minibar and a safe. There is a free internet terminal in the lobby. A varied breakfast buffet is served each morning in the breakfast lounge. Cold drinks are available from reception throughout the day. Zeil shopping street is just a 5-minute walk from the Admiral. Frankfurt Train Station can be reached in around 10 minutes on foot. This hotel is conveniently situated in the Niederrad business district of Frankfurt, directly between Rhine-Main airport and Frankfurt city centre. The Niederräder Hof provides easily accessible accommodation for guests visiting Frankfurt on a city break or on a business trip. The hotel is very close to Frankfurt’s main stadium, the Commerzbank Arena, the horse racing track, and Frankfurt golf club. Well connected to the A3 and A5 motorways, as well as Frankfurt’s public transport network, the Niederräder Hof offers great accessibility for business or leisure guests. The nearby Niederrad station is connected to Frankfurt International Airport or the main railway station via a direct (S8/S9) railway line. Business travellers will also appreciate the numerous companies based in and around Niederrad, and the fact that the hotel is just 10 to 15 minutes from Frankfurt’s Messe (trade fair centre) by car or rail. Guests can start the day with a rich buffet breakfast between 07:00 and 10:00. The quiet and comfortable rooms all feature a cream finish and wooden furniture. The rooms are equipped with all modern amenities for entertainment or work. Guests staying in the Niederräder Hof enjoy free wireless internet access throughout the hotel. This quietly located, 3-star hotel in Frankfurt offers free Wi-Fi, daily breakfast buffet and free parking. The Dornbusch underground station is just 100 metres away. Each of the modern rooms at the Motel Frankfurt features a stylish work desk and seating area. Some rooms face the courtyard or nearby park. On Saturdays and Sundays, the Motel Frankfurt’s rich breakfast buffets feature sparkling wine. Guests can eat outside on the terrace in good weather. The Messe Frankfurt Exhibition Centre can be reached in 10 minutes by car or public transport..
Just 100 metres from Frankfurt Central Station, this 3-star hotel offers free Wi-Fi, air-conditioned rooms with flat-screen TV, and a 24-hour reception. It is opposite Baseler Platz tram station. 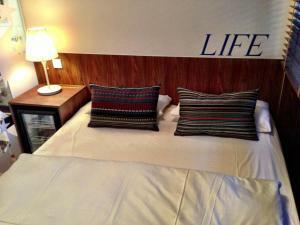 Brightly decorated rooms with minibar, desk, and telephone are offered by Hotel Europa Life. Hairdryers can be borrowed at reception. Varied buffet breakfasts are prepared in the Europa Hotel’s classical-style dining room. Guests can also relax in the bar and surf the web on the 2 free internet terminals. Frankfurt Hauptbahnhof Underground Station is 250 metres away from the Europa Life. Trains run to the Frankfurt Messe Exhibition Centre in only 2 minutes. 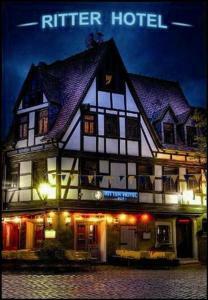 Quietly located in the Nieder-Erlenbach district, this traditional hotel is just 12 km from Frankfurt’s main attractions. It offers a garden restaurant with a country-style pub and spacious accommodation with free WiFi. Landhaus Alte Scheune features rooms and apartments decorated with rich carpets and solid wooden furniture. Highlights include a cable TV and modern bathroom. A hearty buffet breakfast is included in the price. Regional specialities are served in the hotel’s restaurant, and guests are welcome to dine on the terrace during warmer weather. Frankfurt Messe (exhibition centre), the Goethe House and Frankfurt Cathedral are all less than a 20 minutes’ drive from Landhaus Alte Scheune. Free on-site parking is provided. Frankfurt International Airport is 32 km away. 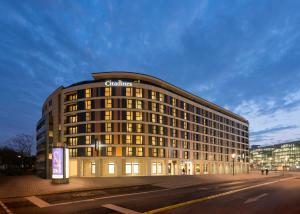 This modern, 3-star hotel in Frankfurt is within a 5-minute walk of the main train station and Messe exhibition centre. It offers free internet, a 24-hour bar, and underground parking. All rooms at the Star Inn Hotel Frankfurt Centrum include spacious beds, flat-screen TVs, and work desks. Rich breakfast buffets are provided at the Star Inn Frankfurt every day. Selected snacks and a wide range of drinks are available at the bar. 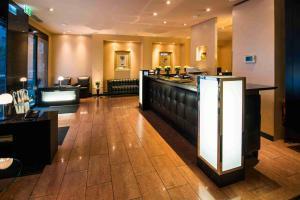 The Star Inn Frankfurt Centrum provides 24-hour reception services. Guests staying at the Star Inn Frankfurt can reach Frankfurt Airport in just 10 minutes by S-Bahn (city rail). 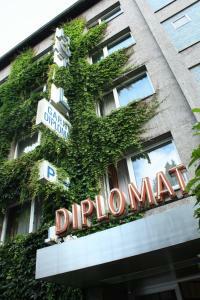 This traditional-style hotel is opposite the Palmengarten gardens in the elegant Westend district of Frankfurt. It offers individually designed rooms, and high-speed Wi-Fi is available. The Hotel Palmenhof has spacious rooms and suites with satellite TV, modern desks, and stylish bathrooms. A rich breakfast buffet is on offer at the Palmenhof every day. Guests are welcome to relax in the Palmenhof’s elegant foyer, featuring fine marble and chandeliers. The Bockenheimer Warte Underground Station is a 2-minute walk from the Hotel Palmenhof. The Frankfurt Messe exhibition centre is 10-15 minutes away on foot. This 5-star hotel offers a rooftop restaurant with great views of the Frankfurt skyline, modern spa facilities, and free Wi-Fi. The Zeil shopping street is just 400 metres away. Fleming’s Deluxe Hotel Frankfurt City has elegant, soundproofed rooms with flat-screen TV and laptop safe. They all feature glass shower cubicles. Grill specialities, seafood, and wok dishes are only some of the options at the Fleming’s Club restaurant. The summer terrace provides panoramic views. Guests can enjoy free tea, coffee and mineral water throughout the day in the bar. Guests staying at Fleming’s Frankfurt City are welcome to use the Finnish sauna, aromatherapy steam room, and spacious gym. Eschenheimer Tor Underground Station is directly outside the Fleming’s Deluxe Frankfurt. Trains run to the Frankfurt Messe Exhibition Centre in 15 minutes. Just a 5-minute walk from Frankfurt Central Station, this non-smoking, 2-star hotel offers free Wi-Fi access, varied buffet breakfasts, and a 24-hour reception. All of the modern rooms at the Hotel Apadana Frankfurt feature a telephone, minibar, and private bathroom. The Apadana's reception team can provide insider tips and sightseeing information in several languages. The Messe Frankfurt Exhibition Centre is just 2 minutes away by U-Bahn (underground). Direct S-Bahn (city rail) trains run from Frankfurt Central Station to Frankfurt Airport in 10 minutes. This 5-star hotel offers large rooms with iPod station, a stylish health club, and free Wi-Fi. It stands beside Frankfurt Central Station, a 10-minute walk from the Frankfurt Messe Exhibition Centre. The soundproofed rooms of the Steigenberger Hotel Metropolitan are at least 21 m² in size. They include a flat-screen TV with satellite channels, a minibar, and a bathroom with granite décor. The Metropolitan Health Club features a sauna, steam room, and gym. A range of massages can also be booked here. Creative, international cuisine is served in the Steigenberger’s Brasserie M restaurant. Guests can relax on the summer terrace or in the British-style Metropolitan Bar & Lounge. The Metropolitan’s 24-hour reception can book exclusive transfers to Frankfurt Airport. This is 15 km away. Located directly opposite Frankfurt Central Station, this hotel offers modern spa facilities, soundproofed rooms, and free Wi-Fi internet. Guests enjoy free use of local public transport. 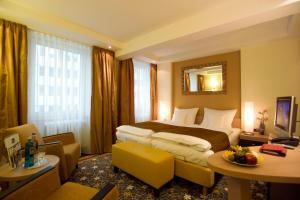 The InterCityHotel Frankfurt provides air-conditioned rooms with cable TV, safety deposit box, and minibar. Barrier-free rooms are also available. Guests can make use of the InterCityHotel's bio sauna. The gym includes modern exercise machines. Large buffet breakfasts are prepared in Fleming’s Brasserie & Wine Bar. Guests can also relax in the outdoor Riva Sommerlounge, Metropolitan café, and Mainhattan Bar. The Messe Frankfurt Exhibition Centre is just 4 minutes away by S-Bahn train. Public parking is available near the Frankfurt InterCityHotel. Novum Hotel Primus Frankfurt Sachsenhausen is located in the Alt-Sachsenhausen district of Frankfurt, just 150 metres from the River Main. It offers well-equipped rooms with free Wi-Fi internet, and a traditional bar. Most rooms at Novum Hotel Primus Frankfurt Sachsenhausen has a private bathroom, cable TV channels and a seating area. Guests can try a variety of drinks at the hotel bar, from German beers to locally produced ciders. There are also lots of international bars and restaurants within easy walking distance. The Lokalbahnhof S-Bahn (city rail) station is just a 5-minute walk away from the hotel, providing a link to the Messe Frankfurt Trade Fair in less than 15 minutes. Just 3 km from the Waldstadion Stadium and 10 km from Frankfurt Airport, this hotel in Frankfurt offers a spacious gym, air-conditioned rooms with balcony, and airport shuttles. Located in the green Niederrad district, the Leonardo Hotel Frankfurt-Airport has contemporary-style rooms with a flat-screen TV and desk. Wi-Fi is provided free of charge. Creative, Mediterranean dishes are served in the Leonardo restaurant with summer terrace. Classic cocktails and exotic drinks are mixed in the stylish bar. The reception at the Leonardo Frankfurt-Airport Hotel is open 24 hours a day. Private parking is available on request. The Leonardo Airport Hotel is only about 1 km from Niederrad S-Bahn Train Station. Trains run to Frankfurt Main Station in just 4 minutes. This hotel lies between Frankfurt Airport and the city centre. It offers a spa with gym, restaurant, English-style bar, beer garden and a shuttle to the airport, 10 minutes away. All rooms at the Holiday Inn Frankfurt Airport-North are soundproofed with air conditioning, a coffee machine, and Wi-Fi. A daily breakfast buffet is available at the Holiday Inn Frankfurt Airport. The Brentano restaurant offers seasonal specialities. Cocktails are served in the St. George bar. There is a direct tram from Frankfurt Main Train Station to the Oberforsthaus tram stop, a 10-minute walk from the Holiday Inn. The Commerz-Arena stadium is a 15-minute walk away. The Holiday Inn Frankfurt Airport-North is a 5-minute drive from the Niederrad business district. The nearby A3 and A5 motorways offer good road connections in the Rhine-Main region. This Frankfurt hotel has modern, soundproofed rooms with free WiFi and hot drink-making facilities. It is in the city centre, less than a 5-minute walk from Frankfurt Central Station. The Comfort Hotel Frankfurt City Center is about a 15-minute walk from the historic Römer town hall square. It is also close to shops, cafés, restaurants and business venues. Massages can be booked at the Comfort Hotel. Other facilities include a 24-hour reception, a lift to all floors and daily newspapers. This 4-star hotel is located in Frankfurt’s Bockenheim district, a 15-minute walk from the Frankfurt Trade Fair. It offers a 24-hour reception and free WiFi. The bright soundproofed rooms at the Novum Business Hotel Imperial Frankfurt Messe feature classic-style décor. All rooms include cable TV and a private bathroom. The hotel is a 5-minute walk from Palmengarten Park and Bockenheimer Warte Underground Station. This is 1 stop from Festhalle/Messe Station (Trade Fair) and 2 stops from Frankfurt Central Station. Novum Business Hotel Imperial Frankfurt Messe is a 5-minute drive from the A66 and A648 motorways. Frankfurt Airport is a 15-minute drive away. This 3-star hotel enjoys a quiet side-street location in Frankfurt, a 10-minute walk from Konstablerwache Station and the Zeil shopping street. It offers free Wi-Fi and good public transport access. All rooms at the Hotel Mercator include a minibar, satellite TV and a seating area. 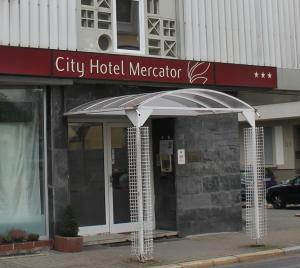 Breakfast is available each morning in the City Hotel Mercator. The Mercator Frankfurt is a 2-minute walk from the Musterschule underground station. This is 2 direct stops from the Römer historic quarter and 4 stops from Frankfurt Main Station. City Hotel Mercator is a short walk from many restaurants and bars in this stylish residential area of Frankfurt. Featuring white, minimalist interiors, this design hotel offers free Wi-Fi, a spa and an elegant terrace. 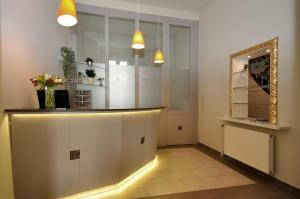 It is located in a former textile factory, 200 metres from Frankfurt Main Station. The modern rooms at The Pure include dark wooden floors and flat-screen TVs. The private bathrooms feature bathrobes and luxury toiletries, and laptops can be hired from reception. A fresh, varied breakfast buffet is provided in Pure’s breakfast room. Exotic cocktails are served at the trendy bar. Hotel Pure’s spa includes a sauna, steam room and a small fitness room. Guests can also relax on the elegant patio, which has wooden decking, a fountain and comfortable seat cushions. The Pure is an 8-minute walk from Frankfurt Trade Fair. The River Main is 1.2 km away. There are many restaurants within walking distance of the hotel. Offering free Wi-Fi, free parking and free soft drinks from the minibar, this hotel stands directly on the River Main. It is 5-minutes from the A661 motorway and Offenbach Trade Fair. 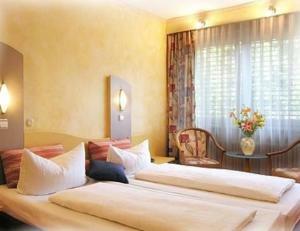 Hotel Gerbermühle has spacious rooms and suites with air conditioning. Interiors feature dark wood floors, rich red colours, and floor-to-ceiling windows. Food and drink is served in the Gerbermühle’s restaurant and tower bar. In summer months you can dine in the summer garden with its fine view of the River Main and Frankfurt’s famous skyline. The Gerbermühle Hotel enjoys a peaceful location in the Sachsenhausen district, less than 4 km from Frankfurt city centre. Buchrainstraße Tram Stop is an 8-minute walk away, providing a direct connection to Frankfurt Central Station. This hotel is in the Höchst district of Frankfurt. It offers free Wi-Fi, free parking, and is about a 10-minute walk from the Höchst city rail station. The Parkside Hotel offers rooms and apartments with a TV, telephone and private bathroom. Free Wi-Fi is provided in all parts of the Parkside Hotel. There are also computer terminals in the lobby. A European or traditional Korean breakfast is available each morning at the Parkside. The dinner menu, which changes daily, includes Asian specialities. Frankfurt Central Station can be reached in about 10 minutes from the nearby Höchst S-Bahn (city rail) Station. Offering a stylish spa with indoor pool and 2 restaurants, this elegant hotel is 200 metres from the 18-hole Frankfurt Golf Club. Frankfurt Airport is a 10-minute drive away. The air-conditioned rooms and suites of the Sheraton Frankfurt Congress Hotel feature soundproofed windows, broadband internet, and 3 telephones. A sauna, steam room, and modern gym are located in the Sheraton Congress’s wellness area. German and international food is served in the traditional-style Bayern Stub’n and Tölzer Stube restaurants with terrace. Fine cigars are available at the Sheraton's L44 Bar & Lounge. Guests can use the Link@Sheraton lounge with free Wi-Fi, internet work stations, and a big flat-screen TV. The Niederrad S-Bahn (city rail) station is 1 km from the Sheraton Frankfurt Congress. Trains run to Frankfurt Central Station in 5 minutes. This 3-star hotel is a 4-minute walk from Frankfurt Central Station and an 8-minute walk from the Frankfurter Messe Exhibition Centre. It offers air-conditioned rooms with free WiFi. The rooms of Mercure Frankfurt City Messe are decorated in blue or turquoise, representing the Atlantic Ocean. All rooms include cable TV, a work desk and private bathroom with shower. The daily breakfast buffet at the Mercure Frankfurt City Messe features fresh breads as well as hot and cold food. The Mercure Hotel Frankfurt City Messe is steps from the Platz der Republik tram stop. The nearby Hauptbahnhof (Frankfurt Central Station) is a 10-minute train journey from Frankfurt Airport. The hotel has a 24-hour reception and a small underground car park. The A5 motorway is 2.5 km away. 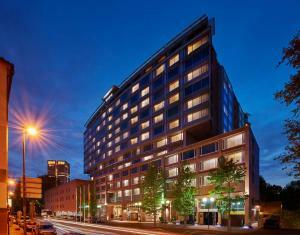 This Lindner Hotel is in Frankfurt’s Sachsenhausen district, south of the River Main. Features include a 450 m² spa area and large rooms with a seating area and city views. The restaurants at the Lindner Hotel & Residence Main Plaza are the Californian New Brick, as well as the Leon Garcias which serves tapas. Harry’s New York Bar with terrace is open until 03:00. Main Plaza Beauty & Spa is spread over 450 m², and is free for guests to use. It includes an indoor swimming pool, saunas, steam rooms and a fitness centre. The world-famous Museumsufer museum district is less than 1 km along the River Main from the Lindner Hotel & Residence. The Sachsenhausen district is famous for its traditional cider houses. Located opposite Frankfurt Main Station, this 4-star hotel offers modern rooms and a spa area with indoor pool and city views. Frankfurt’s Old Town district is a 15-minute walk away. All rooms at the Savoy Hotel include cable TV, bathroom products and a free bottle of mineral water on arrival. Free Wi-Fi is available in all areas of the hotel. A breakfast buffet can be booked at the Savoy Hotel, and free cakes are served in the afternoons. Guests can enjoy drinks at the bar or outside on the terrace. The Savoy’s health centre is located on the top floor. It features a small fitness area, spa area with indoor pool and relaxation room. Massages are also available. 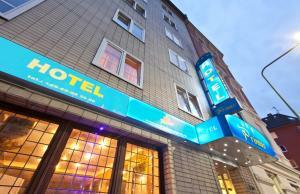 This hotel in Frankfurt lies beside Musterschule Underground Station and a 10-minute walk from the Zeil shopping street. It offers modern rooms, Wi-fi in all areas and 24-hour reception. The rooms at the Hotel Aria come with cable TV, a minibar and a work desk. A rich breakfast buffet is served in the breakfast restaurant each morning. Frankfurt’s Messe exhibition grounds can be reached in 15 minutes via train from the Aria. Just 800 metres from Frankfurt Airport's Terminal 2, this hotel offers soundproofed rooms with LED smart TVs. It has a modern gym, a steak restaurant and an airport shuttle service. The air-conditioned rooms at the Park Inn by Radisson Frankfurt Airport include floor-to-ceiling windows and modern bathrooms with hairdryers. Basic Wi-Fi is free in all rooms, and premium internet can also be booked. Seasonal dishes and grilled specialities are served in the RBG Bar & Grill. German beer, fine wines and cocktails can be enjoyed in Park Inn’s bar and lounge. Frankfurt city centre can be reached in 20 minutes from the nearby Flughafen Frankfurt S-Bahn Station. A transfer to and from Frankfurt Airport is available on request. 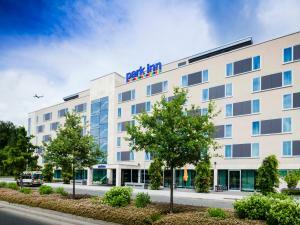 Park Inn Frankfurt Airport stands directly beside a junction for the A3 and A5 motorways. Darmstadt and Mainz are 25 minutes away by car. This hotel offers air-conditioned rooms, free internet terminals and a 24-hour bar. It is 5 underground stops from Frankfurt’s city centre and a 5-minute drive from the trade fair. All rooms at the ibis Hotel Frankfurt Messe West include a private bathroom with hairdryer. WiFi is free throughout. The ibis Hotel Frankfurt Messe West offers breakfast from 04:00 until 12:00. Snacks and drinks are available throughout the day in the hotel’s modern lounge area. The Industriehof underground station is a 2-minute walk from the Ibis Hotel Frankfurt Messe West. The A66 motorway can be reached in 3 minutes. The private car park at the ibis features CCTV cameras and special parking spaces for women. This hotel provides self-catering accommodation in the heart of Frankfurt, a 10-minute walk from the Zeil shopping area and the financial district. Transport services are right outside. The suites and apartments of The Suite Hotel include free WiFi, cable TV, a fully equipped kitchen, safe and minibar. A buffet breakfast is provided each morning. A 3-minute walk takes you to Eschenheimer Tor Underground Station. Hauptwache S-Bahn Station is a 10-minute walk away, and provides direct services to Frankfurt Central Station, Frankfurt Airport and the Frankfurt Trade Fair. After a long day, relax in the hotel’s fitness area with sauna and steam bath. You can also enjoy a walk in the park opposite the hotel, or explore a wide range of restaurants and bars nearby. 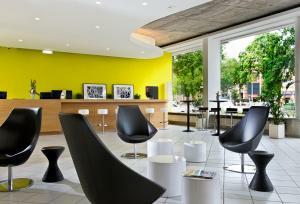 This design hotel lies in the Niederrad district of Frankfurt, directly between the city centre and Frankfurt Airport. It offers modern rooms, private parking, free Wi-Fi and is near the A5 motorway. All rooms at the Motel One Frankfurt Airport hotel offer air-conditioning and include a work desk, a flat-screen TV, DVD player and an en suite bathroom. The spacious One Lounge is a breakfast café, lobby and bar. Snacks and drinks are available here 24 hours a day. The lounge features designer furniture. The Motel One Frankfurt has an airport shuttle service which runs every 30 minutes throughout the day and in the evenings. Motel One is a 20-minute walk from the Niederrad S-Bahn (city rail) station. This offers a connection to the Frankfurter Messe trade fair. Goldstein bus stop is just 200 metres away. Fully renovated in 2011, this 3-star-superior hotel is opposite Frankfurt Central Station. It offers soundproofed rooms and varied buffet breakfasts. There is free WiFi in the entire hotel. All air-conditioned rooms at the Hotel Hamburger Hof include satellite TV, a laptop safe, and a minibar. The elegant bathrooms include a cosmetic mirror, hairdryer, and toiletry set. Guests can enjoy a wide range of drinks in the stylish bar. Many shops and restaurants are less than a 10-minute walk away. The Hotel Hamburger Hof has a 24-hour reception. Luggage storage facilities are provided. This design hotel offers free internet, flat-screen TVs and a unique Levi’s jeans theme. 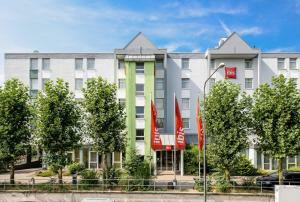 It is a 3-minute walk from Frankfurt Central Station and 10 minutes from Frankfurt Trade Fair. The soundproofed rooms at the 25hours Hotel Frankfurt by Levi’s also include iPod stereo systems and free Sky TV. The denim-blue bathrooms feature washbasins in natural red stone. Each floor has décor from a different decade of the 20th century. Creative food is served in the stylish Chez IMA restaurant. Specialities include burgers baked on hot stones. 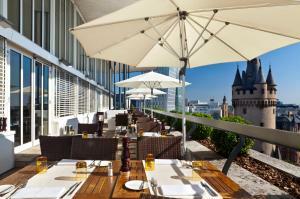 Jazz music is played in the evenings, and guests can relax on the 25hours Frankfurt’s roof terrace in warm weather. The Gibson music rehearsal room is another special feature of the Levi’s Hotel. This can be booked by guests or used for events. Guests enjoy free bicycle and iPod rental, free MINI rental upon request and availability, and a free bottle of water at check-out. - From the A661 motorway take exit 14 at Frankfurt-Ost. Drive towards the centre and follow the signs for Zoo/ Großmarkthalle/ Stadtmitte. - About one kilometre further along the Hanauer Landstraße you will see the orange and blue façade of the Goldman 25hours (No. 127) on the right-hand side. - From the Hauptbahnhof (main railway station) take tram number 11 towards Fechenheim/Schießhüttenstraße until you reach Osthafenplatz (approx. 15-minute journey). From the tram stop you will be able to see the orange and blue façade of the hotel. - Alternatively, you can take the U6 underground line as far as Ostbahnhof. The hotel is a 5-minute walk from here. This hotel is next to Frankfurt's Hessen-Center mall. This modern, 4-star hotel offers free parking and WiFi for an additional fee. Massages can also be booked at the hotel. 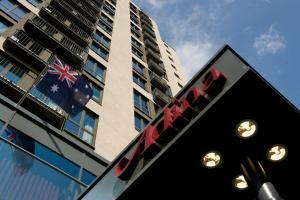 The privately run Hotel Amadeus Frankfurt offers air-conditioned rooms with international TV channels and desks. The Hotel Amadeus's Papageno restaurant offers an à la carte menu. The Zauberflöte bar serves local beers and a range of cocktails. The Amadeus is just 100 metres from the Hessen-Center Underground Station. The Zeil Shopping Area is less than 20 minutes away by public transport. 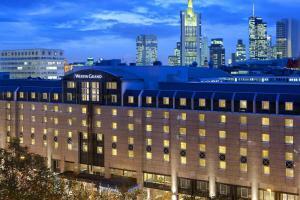 The InterContinental Frankfurt is perfectly located on the banks of the River Main. 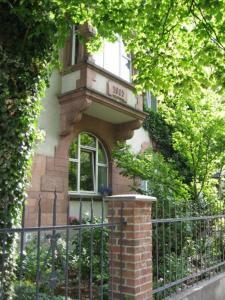 It is a 5-minute walk from Frankfurt Central Station and 1 underground stop from the Frankfurt Trade Fair. The elegant and air-conditioned rooms at the InterContinental Frankfurt feature international satellite TV channels and radio stations, tea and coffee making facilities as well as a minibar. Bathrobes, toiletries and a hairdryer are provided too. Enjoy a fantastic view over the most impressive skyline in Germany and the river Main. Experience the culinary delights of modern German cuisine at the Signatures Veranda Restaurant. Let the evening unwind in the DAXx Mainhattan´s Bar with delicious cocktails and snacks, or choose among 60 types of whiskey. The 300m² in-house fitness club, with panoramic view over the river, is opened 24 hours a day and is free of charge for hotel guests. High-speed internet is available in the entire hotel. Located next to the City Forest in Frankfurt, this hotel is just 4 km from the Frankfurter Messe Trade Fair. It provides modern rooms with a private balcony, a 12th-floor gym, and an international restaurant. All air-conditioned rooms at the 4-star Ramada Hotel Frankfurt Messe offer pay-TV, free Wi-Fi, a work desk and free bottle of mineral water. The 12th-floor gym at the Ramada Frankfurt Messe offers great views of the Frankfurt skyline. Further facilities include an indoor swimming pool and a Finnish sauna. German cuisine and international favourites are served in the Ramada’s restaurant. The stylish lobby bar serves a variety of drinks, from colourful cocktails to German beers. Frankfurt Airport is 12 km away from the Ramada Hotel Frankfurt Messe. A shuttle service from and to the airport is available on request between 06:00 and 23:00 and is free for guests. 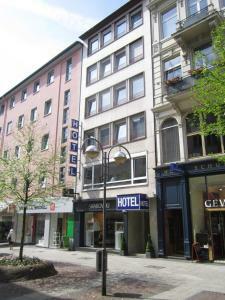 This hotel stands in the centre of Frankfurt, a 1-minute walk from the Zeil shopping street and Konstablerwache Station. It features a 24-hour reception. All rooms at the EXPO Hotel feature carpeted floors, cable TV and safety deposit boxes. All include facilities for making hot drinks and free newspapers and magazines are provided. Konstablerwache Underground Station provides a direct connection to Frankfurt Exhibition Centre and Frankfurt Central Station. The River Main and the Römer Square are within a 10-minute walk, and Frankfurt Zoo is just one underground stop away. Offering modern rooms with cable TV and a restaurant serving creative cuisine, this hotel in the green Enkheim district of Frankfurt is a 20-minute underground ride from Frankfurt Train Station. 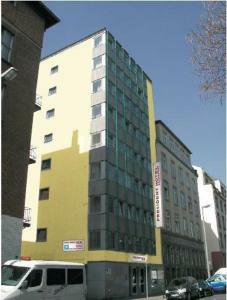 Hotel Klein is a 3-minute walk from the Enkheim U-Bahn (underground) station. Trains run to the Frankfurt Messe exhibition centre and Zeil shopping street within 20 minutes. All rooms at the Klein include cable TV, a work desk, and a private bathroom. Free Wi-Fi internet is available in all public areas. A varied breakfast buffet is provided at the Klein each day. Guests can try seasonal dishes in the Bistro Pfifferling restaurant with summer terrace. Free parking spaces are available outside the Hotel Klein. This hotel is conveniently located in Frankfurt, just a 7-minute drive from the A5 and A648 motorway junction. It offers modern accommodation in a quiet location with free WiFi access. 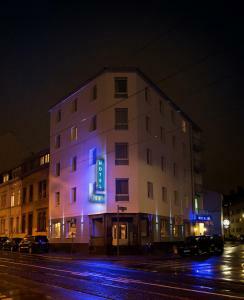 Goethe Business Hotel features warmly decorated rooms and apartments with modern furnishings. All rooms are equipped with air conditioning, electric kettle or minibar and some also have a view. Breakfast is included in the price of your reservation at Goethe Business Hotel. Guests will find a café, supermarket and pizza restaurant are all within 500 metres of the property. Frankfurt Trade Fair is 1.5 km from Goethe Business Hotel. Central Frankfurt can be reached within a 10-minute drive. Private parking is available at Goethe Business Hotel for an additional fee. Frankfurt International Airport is 9 km away. This hotel lies to the west of Frankfurt, a 15-minute walk from the Frankfurt Trade Fair. It offers modern rooms, free Wi-Fi, and good tram connections to all main attactions. The Mönchhofstraße tram stop is a 5-minute walk from the Goethe Hotel. The 11 and 21 tram lines provide direct connections to Frankfurt Central Station and all main city centre destinations. Most of the rooms at the Goethe Hotel Frankfurt include air conditioning. Rooms also have a minibar, electric kettle and a TV with free Sky Bundesliga and Sports HD News channels. A delicious breakfast buffet is offered each morning in the Goethe Hotel's bright breakfast room. There are a supermarket and restaurant within 300 metres of the hotel. Private parking is available at the Goethe Hotel in the car park which is monitored by video. A well-equipped conference room is also available. The Hotel Concorde has 2 conference rooms which each seat up to 12 people, as well as a business centre. This hotel is housed in a villa which was built in a Neo-Romanesque style around the turn of the 20th century. This hotel has been in the hands of our family since 1950. We have a quaint little garden where you can while away many a fine summer’s day. We are beautifully located just a few minutes from the city centre, Frankfurt airport, the main railway station or indeed Frankfurt’s main exhibition and congress building. This family-run, 3-star hotel in Frankfurt’s Sachsenhausen district is just 2.5 km from Frankfurt Central Station. It offers an elegant Italian restaurant and a high-quality wine shop. Guests at the Hotel Kautz start their day with a rich, freshly prepared breakfast. Fine Italian cuisine is served in the Trattoria Promis restaurant under a beautiful chandelier. The Wein-Yard sells a selection of wines. Frankfurt’s Old City is 1.3 km away and the Museumsufer can be reached in 300 metres. Schweizer Platz Underground Station is 50 metres away, offering connections across Frankfurt. All rooms at Hotel Kautz feature wooden furnishings, a cable TV and relaxing seating area. Bathrooms include a shower. Facilities include a 24-hour desk and free newspapers. Public parking is available on site and just 200 metres away. Offering a 24-hour front desk, a terrace and a bar, Motel One Frankfurt Messe is conveniently located just 500 metres from the Frankfurt Messe (fairgrounds). Free daily newspapers and WiFi are provided. These bright and stylish rooms are classically decorated with contemporary furnishings. Each room features a desk, flat-screen satellite TV, and a modern bathroom with rain shower and hairdryer. A hearty breakfast buffet is available every morning and there are several cafés and restaurants located within a 5-minute walk. The Museum of Modern Art and the Frankfurt Cathedral are located 3 km from Motel One Frankfurt Messe, and the Old Opera House is 2 km away. A bus stop can be found directly in front of the hotel, and 1 km away is Frankfurt Central Station. Frankfurt International Airport is 9 km from the property. This hotel in Frankfurt’s Ostend district offers soundproofed rooms with a flat-screen TV, free Wi-Fi and a lounge. Frankfurt Central Station and the old town are a quick tram ride away. The modern, non-smoking rooms of the Motel One Frankfurt-Eastside are air conditioned. They include granite bathrooms with rain showers. The spacious One Lounge features a breakfast café and a bar with designer furniture. Guests can enjoy drinks and snacks here 24 hours a day. This Frankfurt Motel One features a private car park and a garage. The A661 motorway can be reached in 4 minutes. The Osthafenplatz tram stop is just 150 metres from the Motel One Eastside. Many shops, restaurants and the River Rhine are within a 5-minute walk. Located in the Praunheim district, this holiday home is 6 km from Messe Frankfurt exhibition grounds. It offers spacious, self-catering accommodation with a furnished terrace. 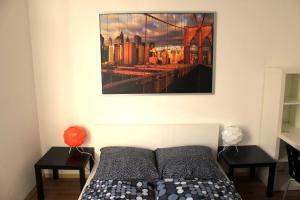 Frankfurt City - Fair House is a bright holiday home decorated with contemporary furnishings. It includes 3 separate bedrooms, a living room with a flat-screen TV and a stylish bathroom. The apartment’s fully equipped kitchen is ideal for preparing food at home. Guests can enjoy their meals in the kitchen’s dining area, or out on the terrace in warmer weather. Frankfurt’s city centre is a 15-minute drive from Frankfurt City - Fair House and the River Main is 9 km away. Free private parking is provided by Frankfurt City - Fair House. Frankfurt International Airport is 15 km from the property. The hotel boasts 21 fully-equipped conference rooms. Tower Club on the 25th floor is the ideal place to host any special occasions, such as corporate events, private celebrations, discos or wedding receptions, whilst enjoying the tremendous view of Frankfurt’s skyscrapers. 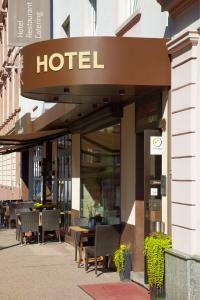 This hotel is located in a quiet street in the Sachsenhausen district of Frankfurt am Main. The Römer square is a 15-minute walk away. The comfortable rooms at the family-run Maingau Hotel offer Wi-Fi for free. The award-winning Döpfner's restaurant offers traditional food and fine wines. From the Maingau Hotel, the exhibition centre, financial district and shopping areas can be easily reached by public transport. This stylish hotel is located directly beside the Frankfurt Trade Fair and near the Skyline Plaza, Frankfurt's famous new shopping mall, close to the city centre by public transport. The Maritim Hotel Frankfurt offers modern rooms, a luxury spa with large swimming pool, and 3 international restaurants. The spacious rooms at the Maritim Hotel Frankfurt feature elegant décor. All rooms include air conditioning, satellite TV and a minibar. WiFi is provided free of charge for guests in the whole hotel. A sumptuous breakfast buffet is available in the Ambiente restaurant with its open kitchen. The elegant Classico restaurant serves international specialities, while the SushiSho restaurant offers Japanese dishes. Delicious snacks can be enjoyed throughout the day in the lobby bar with terrace. Smoking is permitted in Frankfurt’s well-known Life Style Bar offering cool drinks with varied live music and exquisite meals. The Maritim Sports Club also includes a sauna, steam room and gym. Massages and cosmetic treatments are available. 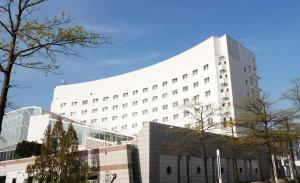 The Maritim Frankfurt is a 5-minute walk from the Messe S-Bahn Station and Festhalle/Messe Underground Station. It is a 15-minute walk or 2 direct tram stops from Frankfurt Main Station. On-site parking is also available. This 4-star hotel in central Frankfurt offers modern rooms and a 24-hour reception. Frankfurt Main Train Station and the Hauptbahnhof underground station are just 250 metres away. All of the Mercure Hotel Kaiserhof City Center's rooms include satellite TV channels, a desk and Wi-Fi. A large breakfast buffet is available each morning in the Kaiserhof's breakfast room. There are also lots of cafés and restaurants within easy walking distance. The Mercure Hotel Kaiserhof is just 1 underground stop from the Frankfurt Messe Trade Fair. The Museumsufer (Museum Embankment) can be reached in just 15 minutes on foot. 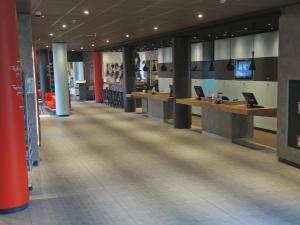 Citadines City Centre Frankfurt offers a fitness centre and free WiFi access. 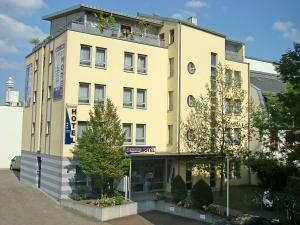 The aparthotel is located just 900 metres from Frankfurt Messe Exhibition Centre. Each of the apartments at Citadines City Centre Frankfurt features an iPod docking station, air-conditioning and tea/coffee making facilities. Some apartments also include a fully-equipped kitchen or kitchenette. A fresh breakfast buffet is available each morning at the aparthotel, and the on-site restaurant serves a range of international and regional specialities. A further selection of restaurants can be found within a 10-minute walking distance of the accommodation. Other facilities available at the property include a shared lounge/TV area, 24-hour front desk and guests are welcome to relax on the terrace. The Museum for Modern Art can be reached in 20-minutes using public transport. Frankfurt (Main) Messe S-Bahn Train Station is just 450 metres from the accommodation. Enjoying a convenient location near Frankfurt International Airport, this stylish hotel is just 15 km from Frankfurt Central Train Station. It offers an elegant restaurant, 24-hour reception and free WiFi. Element Frankfurt Airport Hotel features bright and spacious suites and studios decorated with contemporary interiors. Highlights include floor-to-ceiling windows, Nespresso coffee machine and modern bathroom. All rooms offer free landline telephone calls to almost 20 different countries. A rich complementary buffet breakfast is served each morning in Element Frankfurt Airport Hotel’s dining room. Healthy snacks are available throughout the day in the hotel’s pantry. Nearby attractions include Messe Frankfurt trade fair (14 km) and the Commerzbank-Arena (8.5 km). Ample parking spaces are available at Element Frankfurt Airport Hotel for an extra charge. This fully air-conditioned, non-smoking hotel enjoys a central location in Frankfurt, directly beside Frankfurt Central Station. Hotel Cristall is a 10-minute walk from the Frankfurt Trade Fair and a 12-minute train ride from Frankfurt Airport. All rooms at Hotel Cristall are individually furnished. The modern rooms all feature air conditioning and WiFi is also available. Guests are welcome to relax on the attractive terrace. The hotel bar is the ideal place to relax in the evenings. The lobby also offers a free internet terminal. Excellent bus, tram, S-Bahn and train connections are available from Frankfurt Main Station. This elegant 5-star hotel offering gourmet cuisine is located directly opposite the Frankfurt Trade Fair. The exclusive rooms at the Grandhotel Hessischer Hof include free Wi-Fi and a free minibar. The spacious rooms and suites at the Grandhotel Hessischer Hof Frankfurt feature luxury décor and air conditioning. All rooms offer free pay-TV, a seating area and a bathroom with marble design. German and international cuisine is served in the Grandhotel Hessischer Hof’s elegant Sèvres restaurant with its exclusive porcelain collection. Vintage wines from the hotel’s own vineyard are also available. Guests are welcome to enjoy afternoon tea and homemade cake in the conservatory restaurant with garden views. Live piano music and high-quality cigars are offered in Jimmy’s Bar, which features leather seating and traditional wood panelling. The Festhalle/Messe Underground Station is opposite the Grandhotel Hessischer Hof. Frankfurt Central Station is 5 minutes away by tram. This hotel is located only a 5-minute walk from the main train station and within comfortable walking distance of Frankfurt am Main’s cultural sights, shopping opportunities, and the bank district. 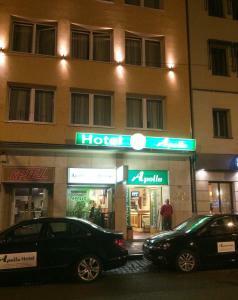 The Hotel Apollo offers practically furnished, modestly priced, cosy rooms. Included in the room price is a tasty breakfast to get your day of sightseeing or business off to a good start. From the Apollo, it is only a 7-minute walk to the district of Sachsenhausen and the Schaumainkai. Known as the Museumsufer, 13 museums are located along this road. The district of Sachsenhausen is famous for its cider pubs, some which also produce their own apple wine. Frankfurt International Airport can be reached within 10 minutes by public transport from the Hauptbahnhof (main train station). This non-smoking hotel offers free internet terminals and a 24-hour bar. 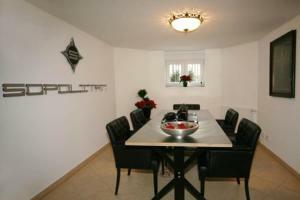 It is a direct tram ride from Frankfurt Central Station and Frankfurt Trade Fair, and 3 minutes from the A5 motorway. Hotel Ibis Frankfurt City Messe has soundproofed rooms with air conditioning and satellite TV with many international news channels. Wi-Fi is free in the lobby. International meals are served in Café Süd & Cie each evening. Ibis's bar offers a wide range of drinks and snacks, as well as Wi-Fi access. The Leonardo-da-Vinci-Allee tram stop is a 3-minute walk from the Ibis Frankfurt City Messe. Centrally located just 200 metres from Frankfurt's Central Train Station and 10 minutes’ walk from Frankfurt Messe Exhibition Grounds, Hotel Fortyfour offers sleek rooms and free WiFi access in all areas. Featuring a flat-screen TV with international satellite channels, all rooms also provide a desk and a fan, as well as a private bathroom with a hairdryer and free toiletries. With elegant furnishings in each of the soundproofed rooms, some even include a modern chandelier. Breakfast is available daily at Hotel Fortyfour. Drinks and snacks are available around the clock from vending machines. With its City Centre location, there are also many eating and drinking options just minutes away from the hotel. Offering spectacular views of Frankfurt and the River Main, the Main Tower - one of the city’s tallest buildings - is just 600 metres from the hotel. The city’s traditional Christmas Markets are always a seasonal treat. The front desk at Hotel Fortyfour is open 24/7. This hotel is located 300 metres from Frankfurt Main Train Station and only 1 km from Römer Square and Frankfurt Cathedral. The rooms have free WiFi and a flat-screen TV. 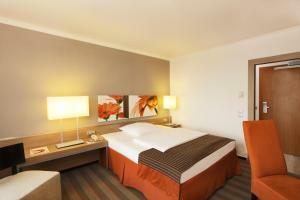 Wyndham Grand Frankfurt features warmly decorated, modern-style rooms. Each room also offers tea and coffee facilities and a private bathroom. Some rooms have a view of Frankfurt's famous skyline. A breakfast buffet is available every morning. The hotel’s restaurant serves international cuisine for lunch and dinner. The Museumsufer (museum quarter) is 400 metres from the hotel and Frankfurt Messe Exhibition Centre is only 1 km away. Frankfurt Airport is a 15-minute trip on public transport. The A661 motorway is 5 km from the Wyndham Grand Frankfurt. These apartments are a 10-minute drive from Frankfurt Main Station and 5 minutes from the Frankfurt Messe Exhibition Centre. NAAM Apartment Frankfurt features free WiFi and a terrace. The apartments are decorated in a contemporary style, and each feature a satellite TV and bathroom with hairdryer. 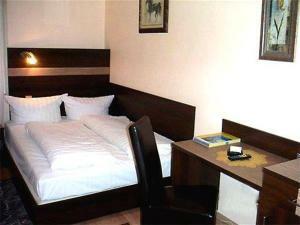 In addition, NAAM Apartment Frankfurt offer fully equipped kitchens with coffee machine and microwave. There is a selection of restaurants and bars within a 10-minute walk from the apartments. The nearest supermarket is 100 metres away, Skyline Plaza is 4 km away and Frankfurt Zeil shopping Street is 7 km. The Museumsufer, a stretch of 20 museums in the centre of Frankfurt, is a 15-minute drive from NAAM Apartment Frankfurt. Senckberg Natural History Museum, is 6.5 km away. Great public transportation connections are only 450 metres from the apartments, with direct connections to Frankfurt Main Station in 20-minutes. There is private parking available at the accommodation, and Frankfurt Airport is 10 km away. Gourmet Mediterranean cuisine is served in the Gaía restaurant and on the summer terrace. Guests can enjoy drinks in the wunderBAR LOUNGE or in the lobby bar. This modern hotel in the heart of Frankfurt am Main is just 100 metres from Frankfurt Central Station. It offers air-conditioned, soundproofed rooms with free Wi-Fi and a stylish restaurant. All comfortably furnished rooms at the Europa Style feature a flat-screen TV with satellite channels, a laptop safe box and minibar. Some include tea/coffee facilities. Several international restaurants, bars and clubs are within walking distance. The famous Zeil shopping mile and Frankfurt Messe Exhibition Grounds are about a 5-minute drive away. A breakfast buffet is served each morning at the Europa. Drinks are offered at the hotel bar. The concierge service can help guests plan their visit to Frankfurt. A 24-hour reception with luggage storage is available. Tropical rain showers and 2 saunas can be found in the Jumeirah’s spa area. Guests enjoy unlimited access to the neighbouring Platinum Fitness First Health Club with indoor pool. Seasonal specialities are served in the elegant Max On One restaurant with walk-in wine cabinet. Hauptwache Underground and S-Bahn Train Station is only 100 metres from the Frankfurt Jumeirah hotel. The Römer Square is 700 metres away. With contemporary interior design, The Corner offers accommodation in the Westend district of Frankfurt, just 1km from the Fair Trade. It offers free Wi-Fi and an on-site sushi restaurant. The air-conditioned and soundproofed rooms at the Corner Hotel include a flat-screen TV with cable channels as well as tea and coffee making facilities. The functional en-suite bathrooms come with bathtub or shower and a hairdryer. International food and drinks are available in the My Sushi Bar restaurant, located on the ground floor of the Corner Hotel. Frankfurt Central Station and the Frankfurt Opera are both within a 10-minute walk from the Corner Hotel. From the main train station, take the S8 or S9 line of the S-Bahn (city rail) towards Wiesbaden. Get off at Niederrad and take bus no. 78 to Com Con Center. Get off at the last stop. Please note that this bus line does not operate at the weekend. This 4-star hotel features modern rooms, a sauna and a fitness room. It lies 500 metres from Frankfurt Messe S-Bahn train station and a 10-minute train ride from the city centre. All the spacious rooms at the Novotel Frankfurt City feature a minibar, air conditioning and cable TV. Wi-Fi internet is available in all areas. The Novotel Frankfurt's Le Jardin restaurant serves international cuisine. The stylish Hemingway bar offers a variety of drinks. During warmer months, guests can enjoy drinks and meals on the terrace. This 4-star hotel offers air-conditioned rooms, a modern spa area, and an international restaurant. It is located in Frankfurt-Bockenheim, just 500 metres away from the Messe Frankfurt Trade Fair. Each room at the Mercure Residenz Frankfurt Messe has satellite TV, a minibar and high-speed internet. Tea and coffee making facilities are also available. Guests are welcome to use the Mercure Frankfurt Messe’s spa facilities, which include a sauna, a hot tub and a modern fitness room. The Mercure’s Twenty9 Restaurant features a summer terrace and serves regional and Mediterranean specialities. The Twenty9 Bar offers cocktails, German beer and live sports events on big-screen TVs. The Kuhwaldstraße tram stop is just 50 metres away from the Mercure Residenz. This hotel is centrally located, a 6-minute walk from Frankfurt Train Station and a 10-minute walk from the Frankfurt Trade Fair. 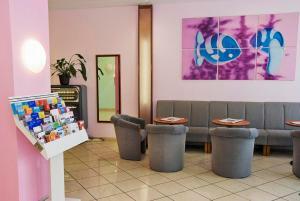 B&B Hotel Frankfurt-Hbf offers free WiFi and free satellite TV. 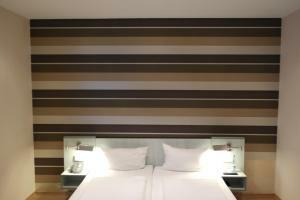 All rooms at B&B Hotel Frankfurt-Hbf are air-conditioned and soundproofed. Each room also includes a seating area and a private bathroom with shower. A rich breakfast buffet is offered each morning. Snacks and drinks are also available at a vending machine. Frankfurt city centre is a 20-minute walk from the hotel, or just 10 minutes by tram from the Platz der Republik tram stop. Frankfurt Airport is just 9 km away. Offering a free airport shuttle, spacious rooms and international cuisine, this hotel is located in the Niederrad district of Frankfurt. Frankfurt Central Station is 1 stop away by S-Bahn Train. Free Wi-Fi is available in all public areas and in the hotel rooms at the 4-star NH Frankfurt Niederrad. Rooms include soundproofed windows, a minibar and satellite TV. Mediterranean meals and Frankfurt specialities are served in NH's restaurant and on the terrace. The elegant bar offers cocktails, international wines, local Apfelwein cider and beer made from local berries. Within a 2-minute walk are 2 supermarkets. Haardtwaldplatz Tram Stop is a 7-minute walk away, and Niederrad Train Station is a 10-minute walk away. Drivers are just 2 minutes from the A5 motorway. This 5-star superior hotel in Neu-Isenburg is a 15-minute drive from Frankfurt. The Kempinski Hotel Frankfurt Gravenbruch has its own grounds which include a large park and lake. Located in a 16th-century building, the Kempinski Hotel Frankfurt Gravenbruch provides air-conditioned rooms and suites with solid wood furniture. All rooms include slippers and bathrobes, and Wi-Fi access is available. The elegant EssTisch restaurant offers fine cuisine and park views, as well as brunch and entertainment for children on Sundays. Sra Bua by Juan Amador serves gourmet pan-Asian dishes. The Torschänke restaurant provides Hessian specialities and smoker’s can unwind in the Smokers 100 lounge. A fitness centre is also available. Jogging paths begin opposite the Kempinski Hotel Frankfurt Gravenbruch. The Offenbacher Kreuz junction for the A3 and A661 motorways is just 10 minutes away. Conveniently situated in the heart of Frankfurt’s Westend district, this hotel allows guests to explore everything this historical area has to offer. Hotel guests will be pleasantly surprised by the diversity of the guest rooms and the peaceful central location. The most famous Westend attractions are also just a short walk away, including the Palmengarten botanical gardens and the Alte Oper concert hall. The hotel is located 400 meters from the exhibition center (Frankfurter Messe). This 3-star hotel is located in Frankfurt City Forest, directly between Frankfurt city centre and Frankfurt Airport. It features spacious rooms with Wi-Fi and a stylish restaurant, lounge and bar. 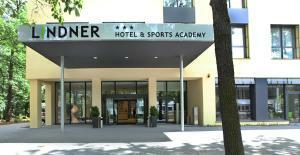 The modern rooms of Lindner Hotel & Sports Academy feature a sporting design. All rooms include a TV, work desk and private bathroom. Less than 15 minutes’ walk from Frankfurt Messe Convention Centre, Hotel Beethoven is an independently run 4-star hotel centrally located in Frankfurt. WiFi internet access is available. All rooms at Hotel Beethoven feature air conditioning as well as a desk, a minibar and a flat-screen TV. Each room also has a private bathroom providing a bath or a shower and a hairdryer. Breakfast is served each morning at the hotel and there are a number of restaurants located within a short walk of the hotel. It is just 1 km from Hotel Beethoven to the central pedestrian zone and shopping district. From the hotel guests can easily visit sights like the Main Tower (1.5 km) or the Römer complex in the Old Town (2.5 km). Frankfurt Airport can be reached in 15 minutes by car or 30 minutes using public transport. Frankfurt Central Station is 1.5 km away. Private parking is available at the property. This hotel is located in the Fechenheim district of Frankfurt, just 100 metres from the Frankfurt-Mainkur train station. It offers air-conditioned rooms, free Wi-Fi, and big breakfast buffets every day. 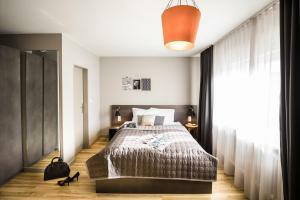 The non-smoking Hotel Mainstation has spacious rooms with a modern design and private bathrooms. The Hotel Mainstation offers free parking spaces and excellent links with the A66, A661, and A3 motorways. Frankfurt city centre is only 15 minutes away by car or bus. Established in 1876, Steigenberger Frankfurter Hof is in the middle of the historic, financial district of Frankfurt and just 1.0 km away from the Emperor St. Bartholomäus's Cathedral, where the emperor's coronation once took place. The hotel features 303 luxurious rooms with traditional and modern decor as well as elegant and classic furnishings. All rooms features a flat-screen TV, a safety deposit box, an air condition unit and first-class toiletries from Aigner. Guests are welcome to enjoy an exquisite and delicate breakfast served at the hotel restaurant Hofgarten. In the afternoon, guests can enjoy a royal afternoon tea at the Autorenbar. The bar turns into a get together hotspot for people to enjoy a drink or two in the evenings. The award winning and Michelin starred Restaurant Francis offers an unique fine dining experience., whereas Restaurant Oscar serves an assortment of snacks and regional dishes. The ultimate spot for relaxation is at Steigenberger Frankfurter Hof's Spa. It comes with a Turkish bath and a traditional barber shop. Guests can book a selection of massages or luxurious beauty treatments. Willy-Brandt-Platz Station is just outside the Frankfurter Hof, and provides connections to 5 different underground lines. Frankfurt Central Station is just 1 stop away. The Leonardo Hotel is located in central Frankfurt, just 100 metres from Frankfurt Central Station. It offers air-conditioned rooms, a modern bar and excellent public transport links. All of the quiet rooms at the Leonardo Hotel Frankfurt City Center include a flat-screen TV. Guests are welcome to use the free WiFi in all areas. The Hauptbahnhof Underground Station is just steps from the Leonardo Hotel, providing a link to the Frankfurt Messe Trade Fair in 2 minutes. The Leonardo’s daily breakfast buffet includes an organic food section. The hotel bar offers a range of drinks, from German beer to fine wines. 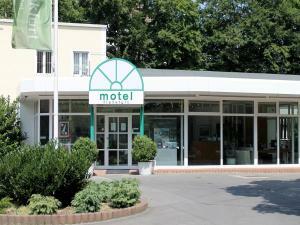 This hotel is located next to Frankfurt Zoo, just a 5-minute walk from Habsburgerallee Underground Station. It offers Italian-style rooms, a breakfast room, and panoramic city views. A breakfast buffet with hot and cold dishes is provided every morning at Alexander am Zoo. Restaurants and bars can be found in the area. The bright, comfortably furnished rooms are equipped with free Sky TV, a minibar and hot drinks facilities. Toiletries and a hairdryer are provided. Guests can adjust the air conditioning in their own rooms. The lively Berger Straße is just a 10-minute walk away, and Frankfurt Messe Exhibition Centre can be easily reached by public transport. Featuring a south-facing terrace with beautiful views of Frankfurt and the Main Valley, this quiet hotel in the district of Bergen-Enkheim offers free Wi-Fi, a traditional restaurant and comfortably furnished rooms. Hotel-Restaurant-Cafe Schöne Aussicht’s traditional rooms include satellite TV and a work desk. They have an en suite bathroom. German and international specialities are served in the Schöne Aussicht’s restaurant with terrace. Drinks can be enjoyed in the bar. 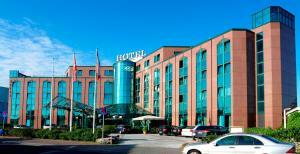 The hotel is a 20-minute drive from Frankfurt city centre and Frankfurt Airport. Free parking is provided. Just a 5-minute walk from the Frankfurt Messe Exhibition Centre, this non-smoking, this hotel offers soundproofed rooms with Wi-Fi, a 24-hour bar, and easy S-Bahn train connections. The modern MEININGER Hotel Frankfurt/Main Messe has spacious rooms with colourful décor, a flat-screen TV, and a private bathroom with hairdryer. Wi-Fi is free in the lobby. Varied buffet breakfasts can be purchased in the MEININGER Frankfurt Messe's stylish dining area. Packed lunches are prepared on request. THE MEININGER Messe's reception is open 24 hours a day. A range of snacks and drinks are available here. The Messe and Galluswarte S-Bahn Train Stations are within a 10-minute walk of the MEININGER Hotel Frankfurt. Trains run to Frankfurt Central Station in 4 minutes. This 7-floor hotel is located in the heart of Frankfurt, just 100 metres from Frankfurt Central Station. Smart Stay Hotel offers free WiFi and a flat-screen TV in every room. All rooms and dormitories at Smart Stay Frankfurt are warmly furnished and include a spacious bathroom with shower, toilet and hairdryer. At Smart Stay Hotel Frankfurt you will find a 24-hour front desk and a bar. 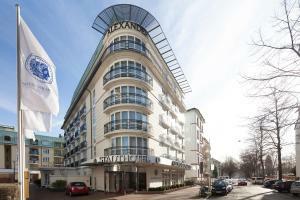 The hotel is within a 10-minute walk of the Frankfurt Trade Fair, the River Main and the bank district. Starting at the 22nd floor of one of Frankfurt's skyscrapers, this hotel offers skyline views from every room as well as free Wi-Fi. It is a 3-minute walk from the Alte Oper opera house. The large apartments of the Innside Frankfurt Eurotheum have floor-to-ceiling windows and open-plan bathrooms. They are located from floors 23 to 29, and feature a kitchenette with fridge/minibar. The Innside's award-winning 22nd Lounge & Bar features live entertainment, jazz and panoramic views of Frankfurt. A rich, high-quality buffet breakfast is served each morning. The Sportlife Europlex spa centre at the Innside Frankfurt Eurotheum has a fitness room with views, as well as a sauna and a relaxation room. The Taunusanlage S-Bahn Train Station is just a 2-minute walk from the hotel. From here, Frankfurt International Airport and Frankfurt Trade Fair can be reached directly. Located just 100 metres from the Frankfurt Trade Fair, this 4-star hotel offers a sauna. All rooms at Dormero Hotel Frankfurt come with free Wi-Fi, free Sky-TV and complimentary minibar drinks. The rooms at the Dormero Frankfurt feature modern, white decor and a granite-design bathroom. Individual lighting, unlimited movies and an iPod sound system are also included in each room. A buffet breakfast is served each morning in the Dormero’s elegant restaurant with its wooden floors and stylish artworks. Drinks are served at the air-conditioned bar with its chic lighting and lounge area. The Dormero has its own private car park for guests. Messe S-Bahn Train Station is just 300 metres away, and Frankfurt Central Station can be reached within 3 minutes by train. Just a 2-minute walk from Frankfurt Train Station, this hotel offers classic-style rooms, free Wi-Fi internet, and rich breakfast buffets. The Adler Hotel has brightly decorated rooms with a TV, minibar, and spacious bathroom. A free bottle of mineral water is provided on arrival. Guests are welcome to use the free internet terminal at the property. The Frankfurt Messe exhibition centre is only 600 metres from the Adler. Frankfurt Airport is 20 minutes away by S-Bahn (city rail). Private parking is available at the Adler Hotel for a fee. This family-run hotel offers soundproofed rooms with free Wi-Fi and free breakfast. It is a 2-minute walk from Frankfurt's main station and 1 underground stop from the Messe (exhibition grounds). Each of the rooms at the 3-star Carlton Hotel includes cable TV and a minibar. Reception is open 24 hours a day. The River Main and various museums are just a 10-minute walk away. The old town is 2 underground stops away, and Frankfurt Airport can be reached by direct S-Bahn train. The Townhouse Hotel’s reception area is decorated in the style of a library, and features a small bar and a fireplace. 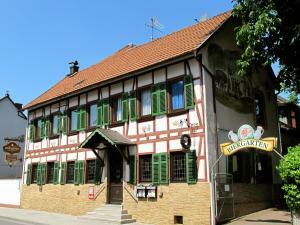 The Bornheimer Hof offers well-equipped rooms, free Wi-Fi and a daily breakfast buffet. Located in Frankfurt-Bornheim, it is just a 9-minute walk from the Eissporthalle Frankfurt Ice Arena. The rooms at the Bornheimer Hof all include a telephone, cable TV and a private bathroom. A large breakfast buffet is prepared each morning at the Bornheimer Hof. Restaurants and bars can be found in the surrounding area. Bornheim Mitte Underground Station is a 7-minute walk away, providing a link to Frankfurt's Old Town in just 5 minutes. A limited number of private parking spaces are available at Bornheimer Hof. This Lindner hotel is located in the Höchst district of Frankfurt, just 10 km from the Frankfurt city centre. It provides air-conditioned rooms, a Bavarian-style restaurant and a spa centre with gym. Every room at the Lindner Congress Hotel Frankfurt has tea/coffee facilities and a flat-screen TV with satellite channels. International dishes and regional specialities are served each evening in the hotel restaurant. The Höchst Bayrisch lounge offers drinks, snacks and live sports events on big-screen TVs. Guests at the Lindner Frankfurt are welcome to use the spa facilities, which include a Finnish sauna, a steam room and a gym. The banks of the Main River are a 2-minute walk away, while the Frankfurt Messe Trade Fair is just 9 km from the hotel. Frankfurt Main Station and Frankfurt Airport are both located 10 km from the Lindner Congress. Opposite the hotel, the Bolongaropalast Tram Stop provides a link to central Frankfurt in 25 minutes. Just 100 metres from Frankfurt Central Station, this 4-star design hotel offers air-conditioned rooms with tea/coffee facilities and free Wi-Fi. It has a stylish spa with sauna, gym and massages. 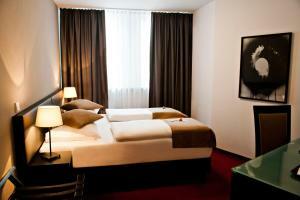 A flat-screen TV and safe are provided in each room at the Clarion Collection Hotel Frankfurt City Center. Your bathroom includes a hairdryer. Guests can enjoy a buffet breakfast and international cuisine at the Sushideo Restaurant. The restaurant and bar are decorated in a colourful style inspired by Friedensreich Hundertwasser. Free internet terminals and free newspapers are available in the lobby. The 24-hour reception staff can help book tickets for local attractions. The Clarion Frankfurt City Center is located in the red light district, a 10-minute walk from Frankfurt Trade Fair, the financial district, and Frankfurt Opera House. Trains run to Frankfurt International Airport in 15 minutes. Located a few minutes' walk from all main attractions in the centre of Frankfurt, this hotel features a health club with complimentary 25-metre pool as well as a restaurant with park terrace. Hilton Frankfurt offers soundproofed rooms with panoramic views. The spacious rooms at the Hilton Frankfurt overlook the city centre or Bockenheimer Anlage Park. All rooms and suites feature a large desk, flat-screen TV, and comfortable armchair. Free Wi-Fi access is available in all public areas of the hotel, there is a charge to use it in the rooms. The Hilton’s health and fitness club includes a stylish sauna, hot tub, gym and half Olympic-sized indoor pool. Exclusive beauty treatments, facials and massages are available upon request. International and local specialities are served in the Hilton’s Pacific Colors restaurant with beautiful park views. Guests can try Cuban coffee in the Vista Bar & Lounge and top-quality whiskeys at GEKKOS Bar. Children receive a check-in treat and children's bathrobes, while there is an open park space behind the hotel. Guests of all ages can relax on the outdoor terrace of the park. Eschenheimer Tor Underground Station is 150 metres from the Frankfurt Hilton. Trains run to Frankfurt Trade Fair (Frankfurter Messe) in 15 minutes. The hotel is around the corner from the Goethestraße, the city's most popular high-end shopping street. It is 450 metres from the Alte Oper (Old opera), 1.1 km from the Old Town and Römer Square, and 1.2 km from the English Theatre. This luxury ship is located in Frankfurt am Main, only 700 metres from Frankfurt Central Station and 1.7 km from the Frankfurt Trade Fair. Hotelship 5 Star has an on-board spa with sauna, hot tub and gym. All rooms at Hotelship 5 Star offer air conditioning, a seating area with sofa, as well as a private bathroom. 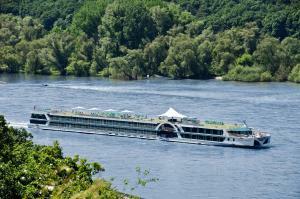 The ship also has a 24-hour reception as well as its own restaurant and bar with magnificent views of the River Main. Guests are also welcome to relax on the deck. Frankfurt Airport is just 9 km from where Hotelship 5 Star is docked. 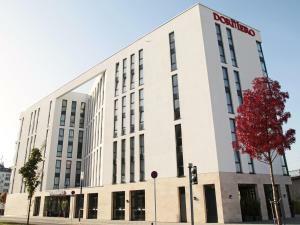 This aparthotel is 450 metres from Galluswarte S-Bahn Train Station, which connects to Frankfurt Messe Trade Fair in one stop. It features free Wi-Fi, and rooms with a kitchenette and a flat-screen TV. The BOLD Apartments offer homelike rooms with curtains, a wardrobe, and a private bathroom with shower. The TV included in each room offers satellite and international channels. A well-equipped kitchenette can be found in every room. It includes a sink, small refrigerator and kitchenware. From Galluswarte S-Bahn Train Station, it takes only one stop to connect to Frankfurt Central Train Station (2 km away). Frankfurt city centre can be reached in 8 minutes via public transport. Frankfurt am Main Airport is 15 km from the aparthotel. Motel Plus Frankfurt am Main offers accommodation in Frankfurt/Main. The hotel has a spa centre and hot tub, and guests can enjoy a drink at the bar. All rooms come with a TV. Every room comes with a private bathroom. For your comfort, you will find free toiletries and a hair dryer. Fair Frankfurt is 5 km from Motel Plus Frankfurt am Main, while Europaturm is 3 km away. The nearest airport is Frankfurt Airport, 13 km from the property. This oriental-theme hotel is located in Frankfurt city centre, 400 metres from Frankfurt Central Station. All rooms at Villa Oriental feature free Wi-Fi and a free minibar. The air-conditioned rooms at Villa Oriental are warmly furnished in a traditional Arabian design with hand-painted tiles. All rooms also include free broadband internet, international satellite TV and an oriental bathroom. The Oriental is a 15-minute walk from Frankfurt’s banking district and from the Museumsufer museum mile directly across the River Main. It is 2 underground stops from Frankfurter Messe trade fair and a 12-minute train ride from Frankfurt Airport. Hafez Restaurant serves Persian dishes. Guests can enjoy a water pipe in the Shisha Lounge or a cocktail at the hotel bar. Oriental banquets and belly dancing can be arranged. Hotel Oriental has a 24-hour reception with multilingual staff. Public car parks are nearby. This 5-star hotel is a historic villa with a beautiful inner courtyard in Frankfurt, 500 metres from the River Main. It offers contemporary-style rooms, fine dining and a luxury spa with swimming pool. Free WiFi is offered throughout. The non-smoking rooms and suites of the Rocco Forte Villa Kennedy feature high-speed internet, a flat-screen TV, and soundproofed windows. Local phone calls are free. Every room has an elegant marble mosaic bathroom with floor heating. Guests at the Rocco Forte enjoy free use of the sauna, steam room and high-tech gym in the Villa Spa. Luxury spa and beauty treatments are offered in 8 treatment rooms with a view of the beautiful garden. Creative, Italian cuisine is served in the Villa Kennedy’s GUSTO restaurant and in the courtyard garden. Live funk, jazz and soul music are played in the JFK BAR and Lounge every evening except Sundays. It is a 10-minute drive from the Frankfurt Trade Fair and a 15-minute drive from Frankfurt Airport. 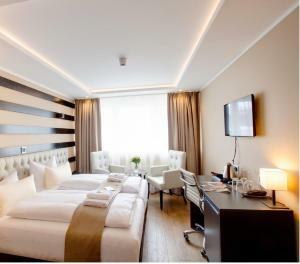 Located directly on the Zeil shopping street, this 3-star hotel in central Frankfurt offers soundproofed rooms, free Wi-Fi, and great transport connections. The Frankfurt Stock Exchange is 1 km away. Each of the rooms at the Hotel Zeil features cable TV, a minibar, and a desk. Non-smoking rooms are available on request. Varied breakfast buffets are prepared at the Zeil. International dishes are served in the restaurant with bar. The Konstablerwache underground and city rail station is 400 metres from the Hotel Zeil. Trains travel to the Frankfurt Messe exhibition centre in 9 minutes. The Zeil is ideal for exploring the historic Altstadt district of Frankfurt. The lively Römer square is about 1 km away. A limited number of free parking spaces are available at the Zeil Hotel. This hotel offers soundproofed rooms, free Wi-Fi, and free parking. It is a 12-minute drive from Frankfurt Airport and an 8-minute drive from Frankfurt Central Station. All rooms at the privately run Hotel Niederrad include a desk and a private bathroom with hairdryer. Most rooms have air conditioning. A breakfast buffet is available each morning. Hotel Niederrad provides an airport shuttle service for an extra fee. 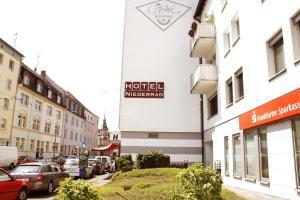 The hotel is a few steps from the Odenwaldstraße ‎tram stop and a 10-minute walk from the Niederrad city rail station. The Bürostadt business area, Frankfurter Golf Club, and A5 motorway are all a 5-minute drive away from the Hotel Niederrad. Just 2 blocks from Frankfurt Central Station, this hotel offers excellent public transport access. 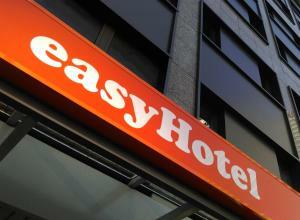 easyHotel Frankfurt City Center is a 10-minute walk from the Frankfurt Trade Fair. All rooms at easyHotel Frankfurt City Center feature air conditioning and a private bathroom with a shower. Guests will find a safe and a TV with satellite channels in the rooms, both of which can be used for a small fee. The hotel has a 24-hour reception and also offers luggage storage and a vending machine. It is a practical base for exploring the heart of Frankfurt. Frankfurt Airport is just 9 km away, and there are direct rail connections from the nearby Frankfurt Central Station. This hotel is in the stylish Westend residential district of Frankfurt, a few minutes' walk from the Frankfurter Messe exhibition centre. It offers a 24-hour reception. All rooms at Hotel an der Messe have satellite TV, free Wi-Fi, a seating area and private bathroom. A breakfast buffet is provided each morning at Hotel an der Messe. Drinks are served on the garden terrace. 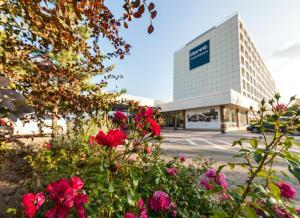 The Hotel an der Messe is a 5-minute walk from the Festhalle/Messe underground station. It offers bus, tram and city train connections to Frankfurt Main Station. Frankfurt Airport is within 20 minutes by train. This 4-star hotel is within a 10-minute walk of the Frankfurt Trade Fair and Frankfurt Central Station. The Skyline Hotel offers a 24-hour reception and free WiFi in all areas. Rooms at the Skyline Hotel Frankfurt all feature modern décor, air conditioning and spectacular city views. All rooms also have a flat-screen TV, desk, sofa, safe, minibar and a spacious bathroom with a bathtub, shower and hairdryer. An ironing service and laundry facilities are also available. The hotel is just 100 metres from Güterplatz tram stop, and the nearby Frankfurt Central Station offers good public transport connections throughout Frankfurt and the whole Rhine-Main area. Regular S-Bahn trains run to and from Frankfurt Airport in just 15 minutes. This 3-star hotel offers spacious accommodation and free WiFi internet access in Frankfurt am Main. It lies around a 10-minute walk from both the main train station and exhibition grounds. The rooms of the Hotel Everest come in a variety of sizes, from single rooms to quadruple family rooms. All are comfortably furnished and come equipped with a cable TV. Some also feature a balcony. Why not start your day off with the rich and varied, American-style breakfast buffet, before setting out to explore the city or attend a trade fair. Breakfast is available from 06.30. Hotel Everest is just 100 metres from the financial district and a short tram ride from the Old Town with its cathedral and Römerplatz square. Relax with a pre-dinner drink in the cosy hotel bar and lounge before enjoying dinner at one of the nearby restaurants. Reception is staffed 24 hours a day and guests can help themselves to complimentary mineral water, coffee, tea and biscuits in the lobby during breakfast hours.